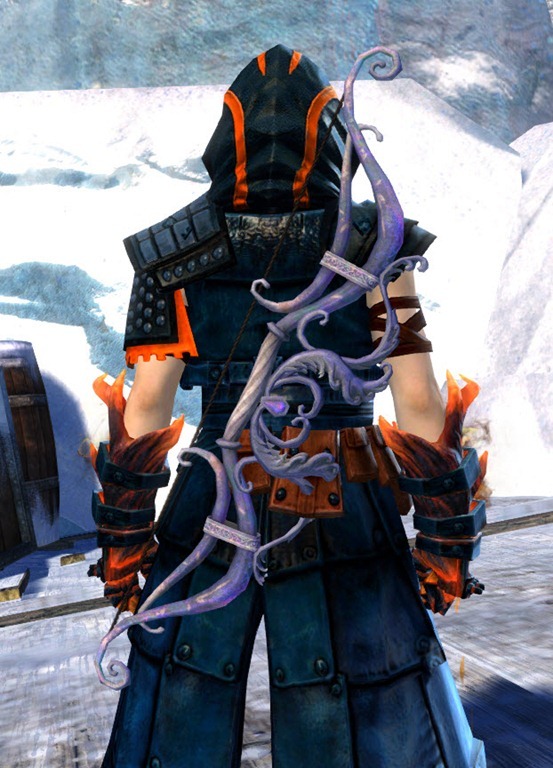 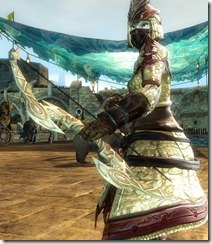 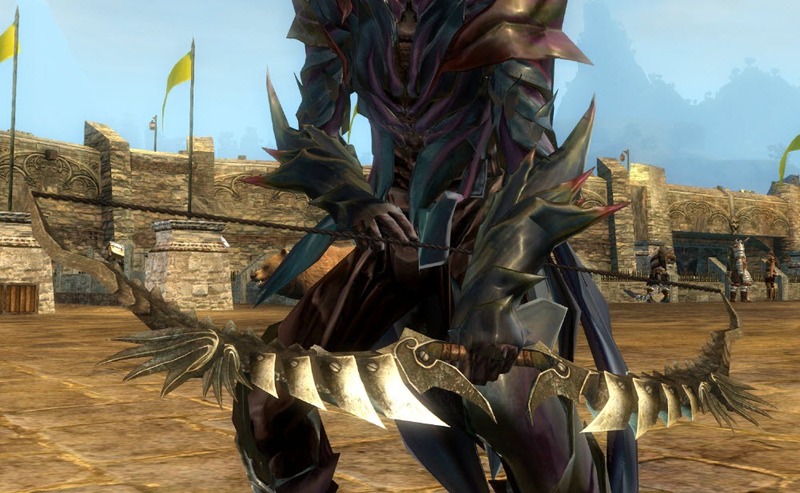 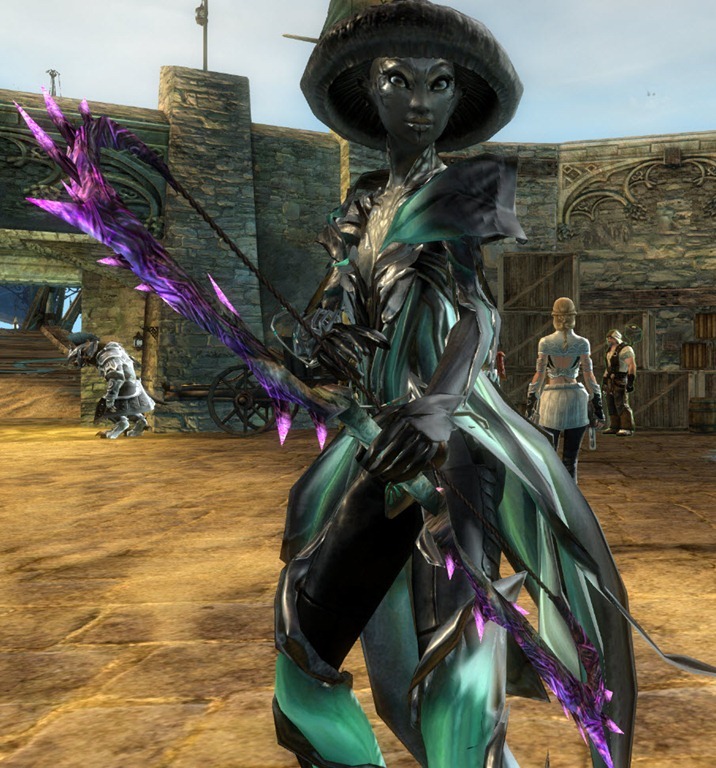 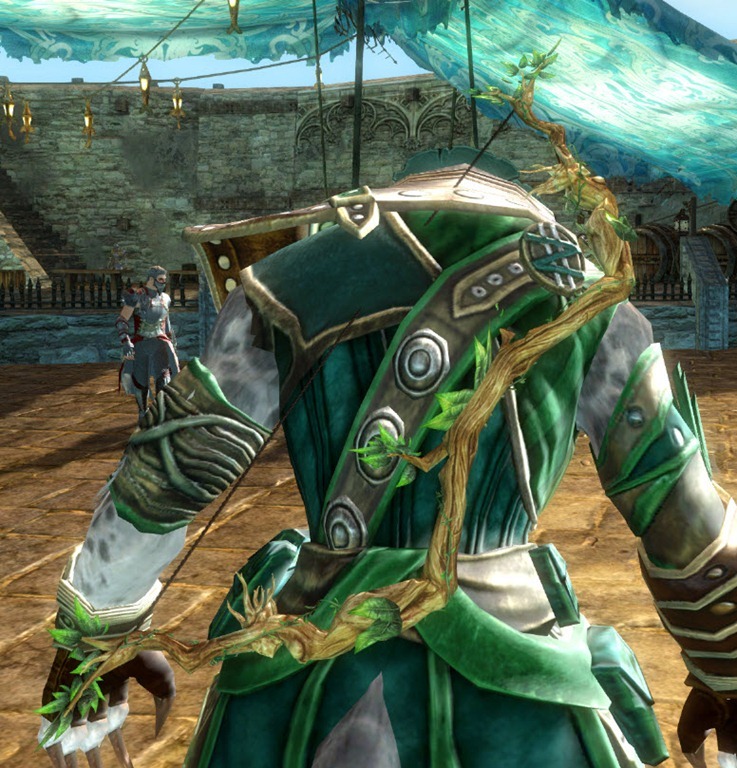 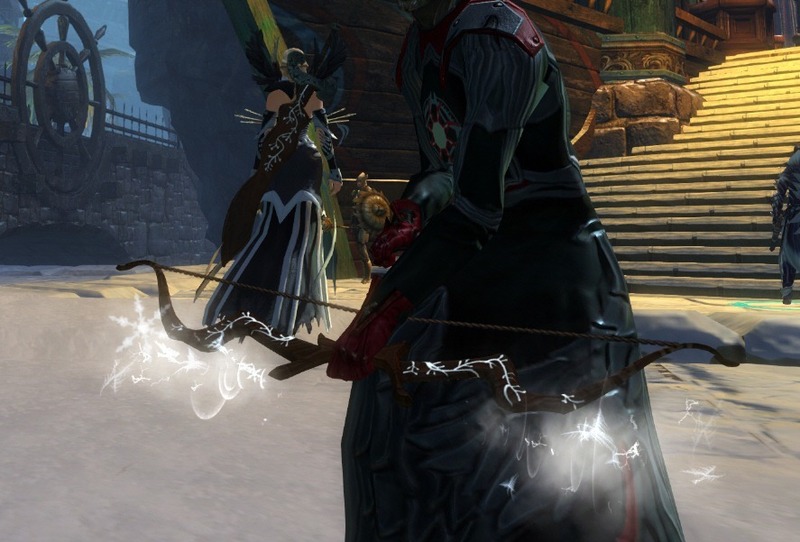 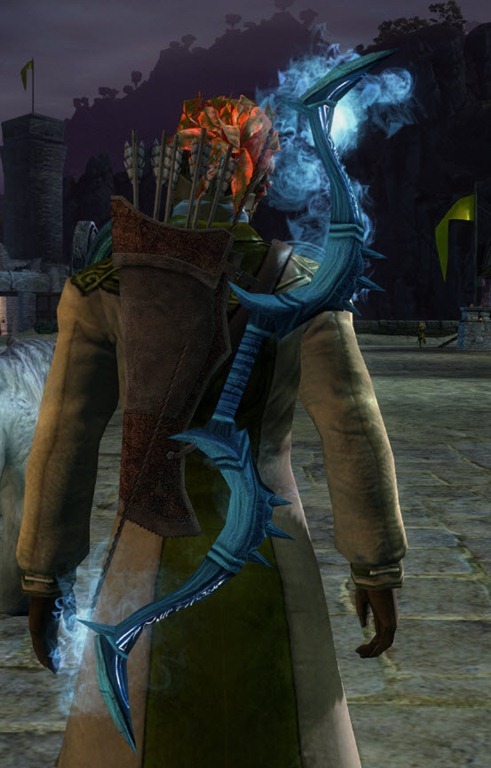 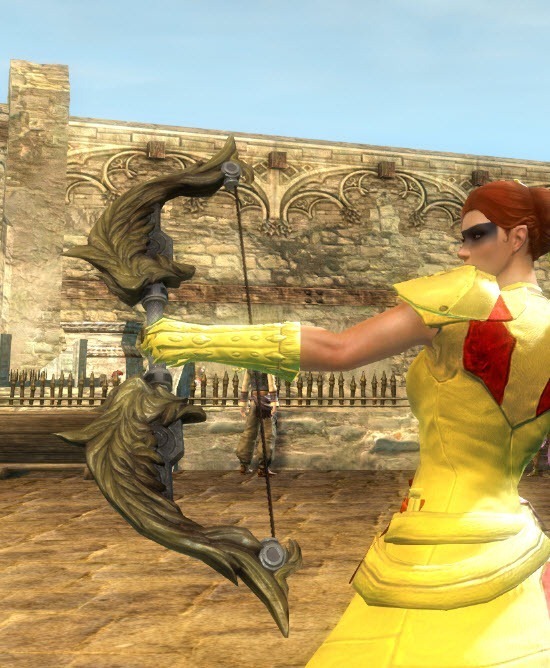 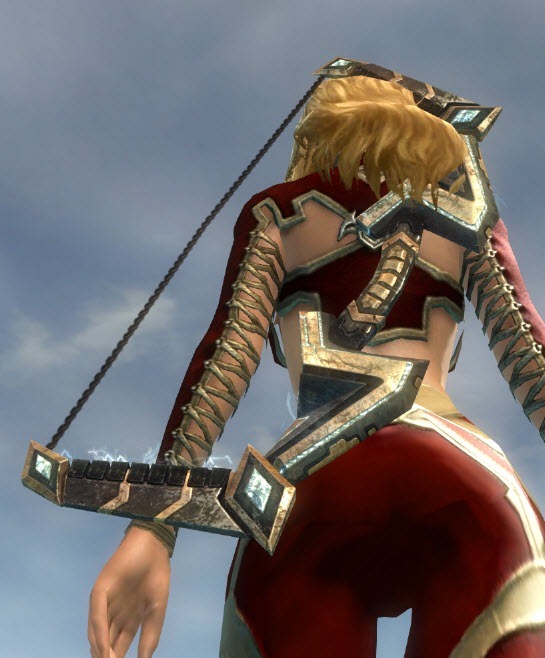 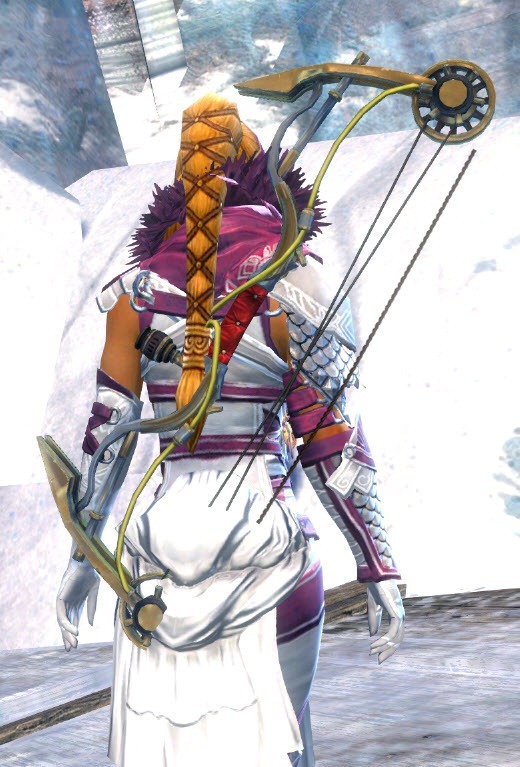 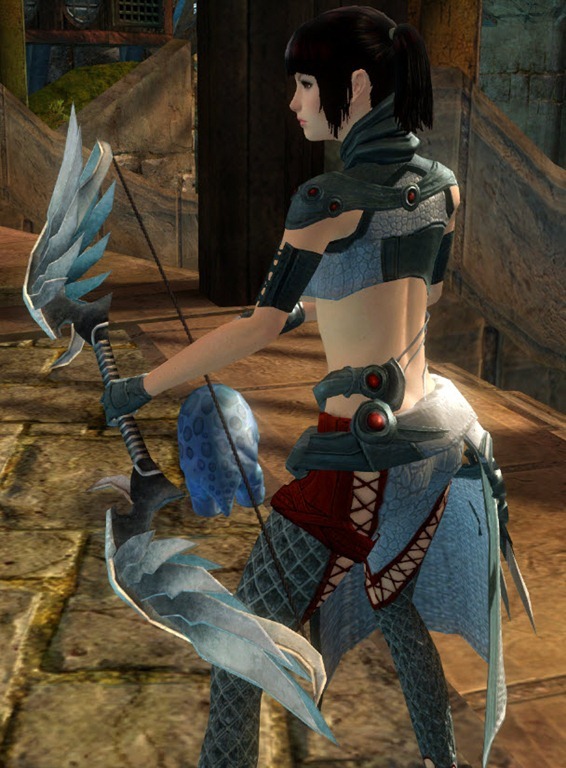 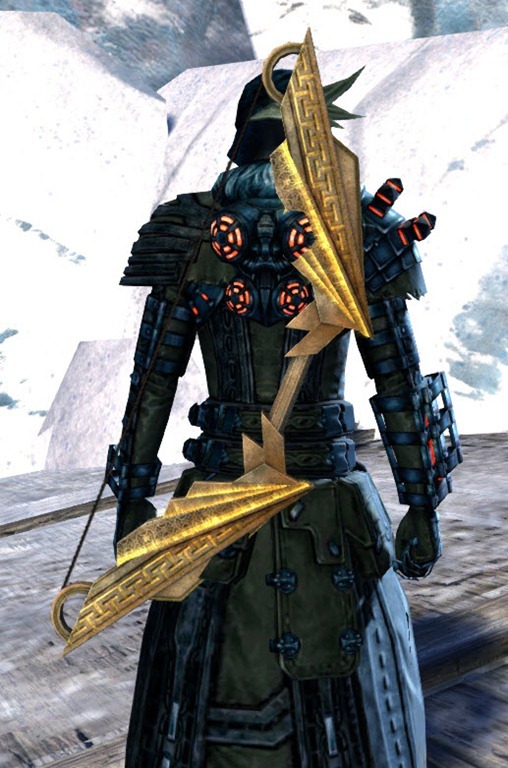 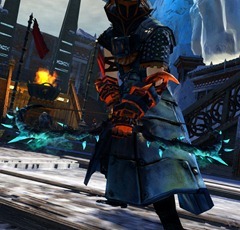 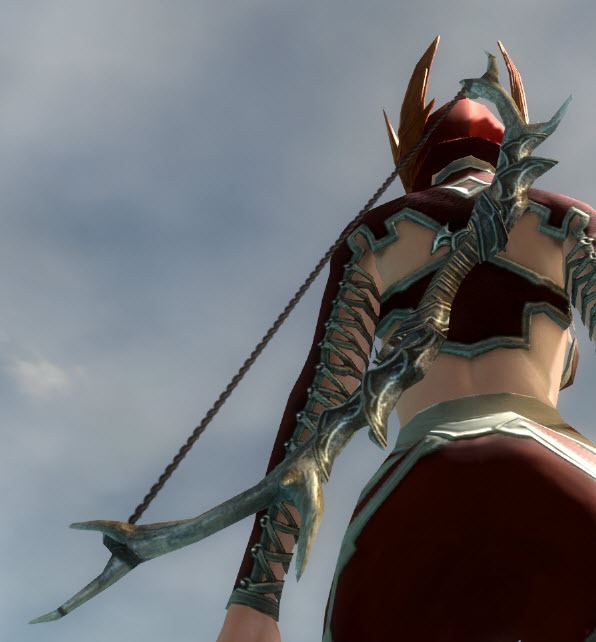 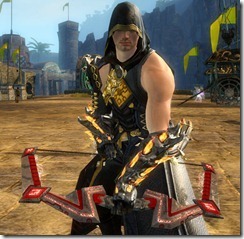 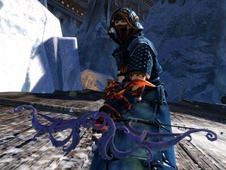 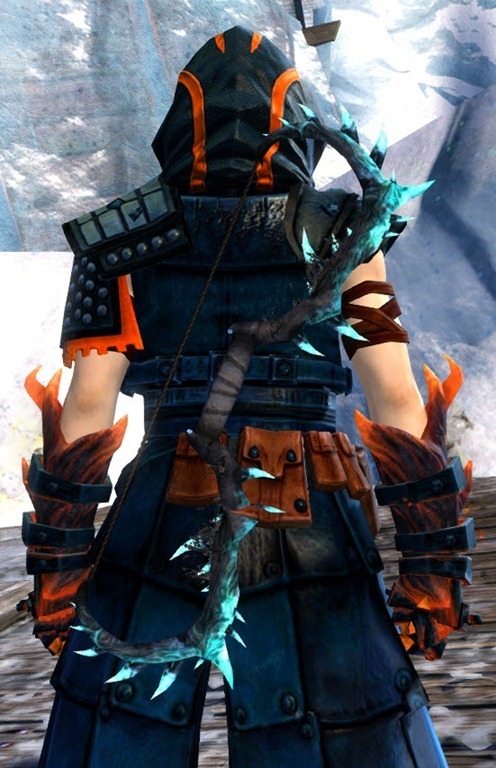 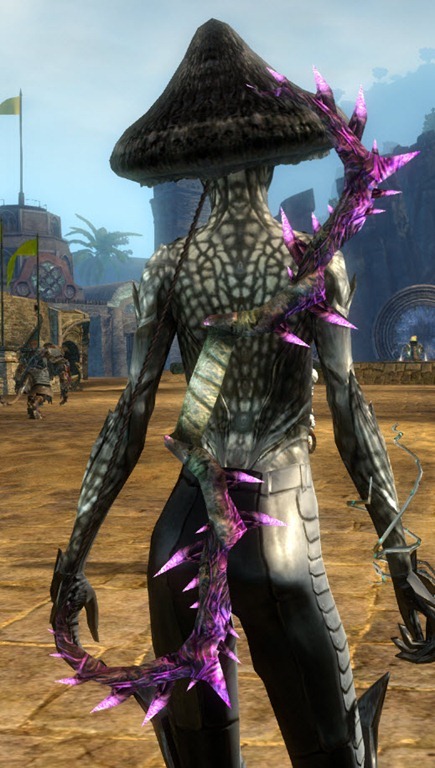 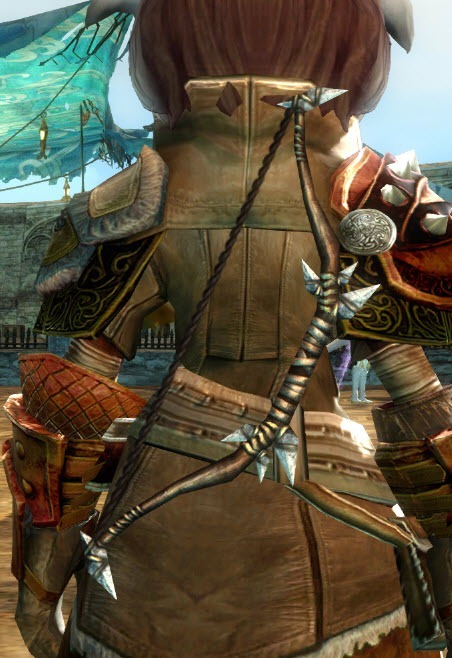 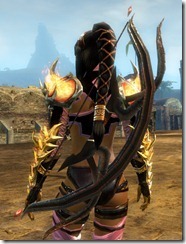 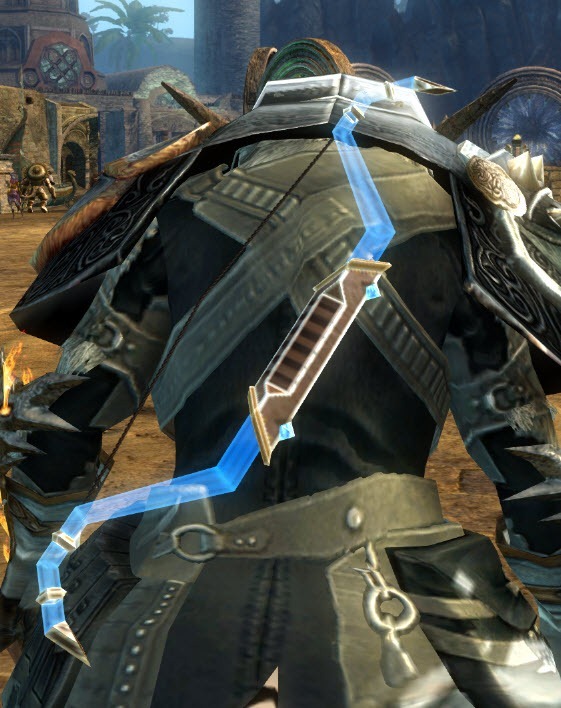 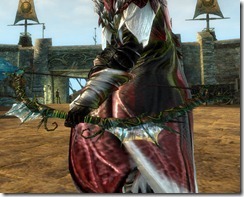 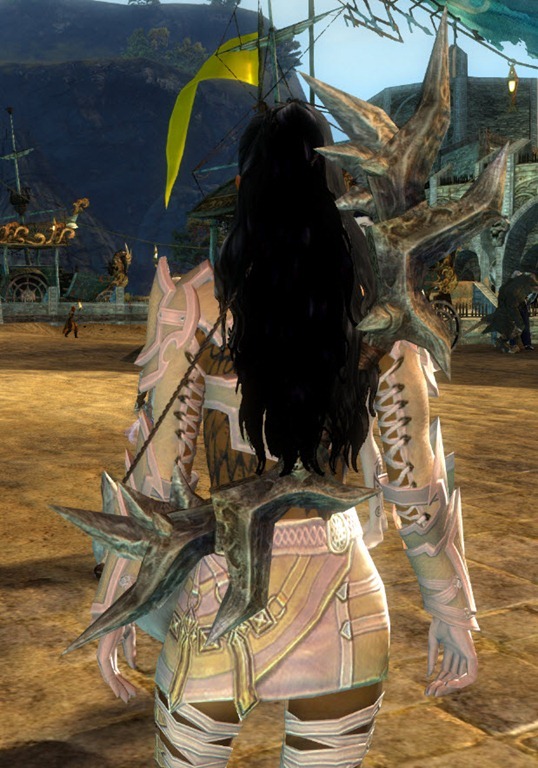 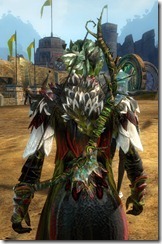 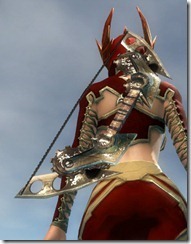 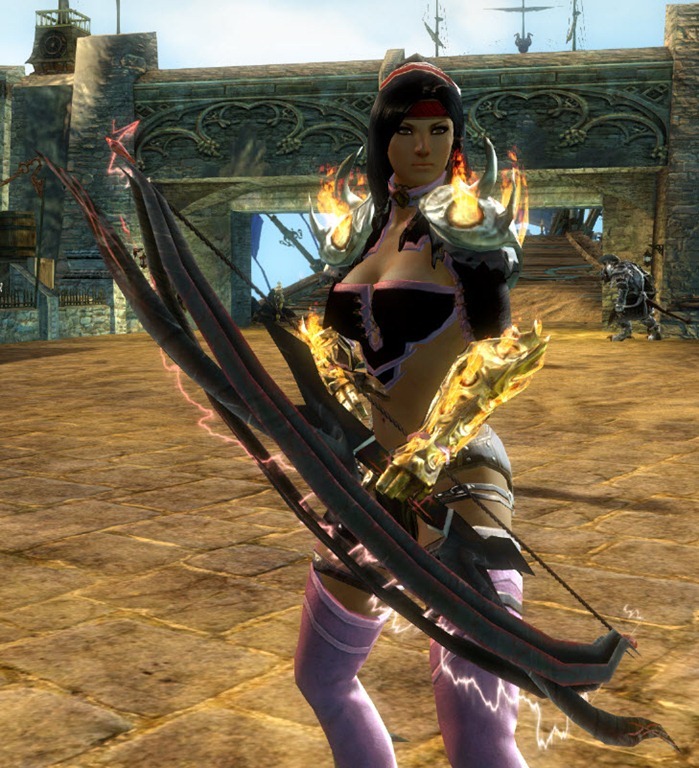 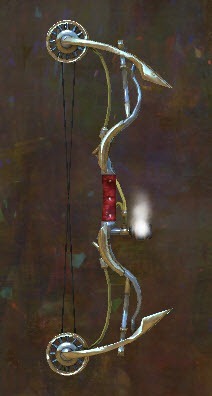 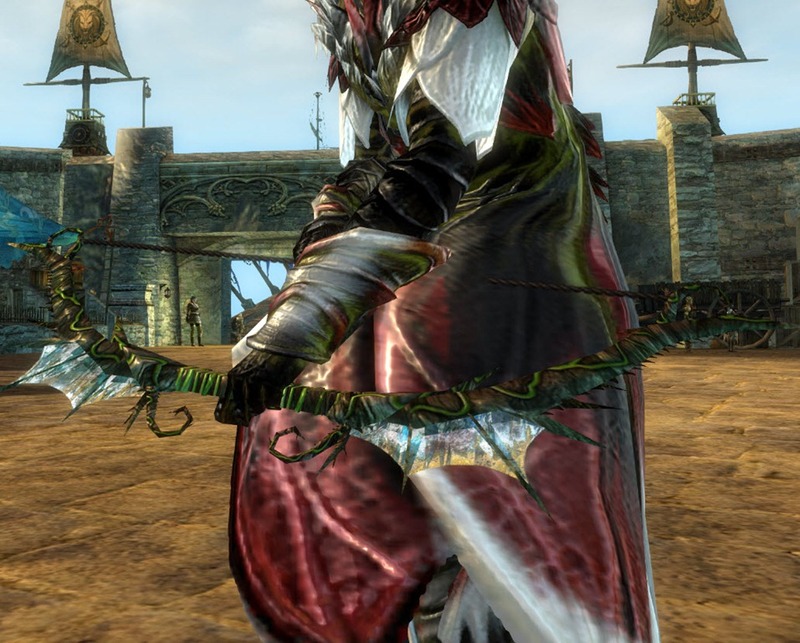 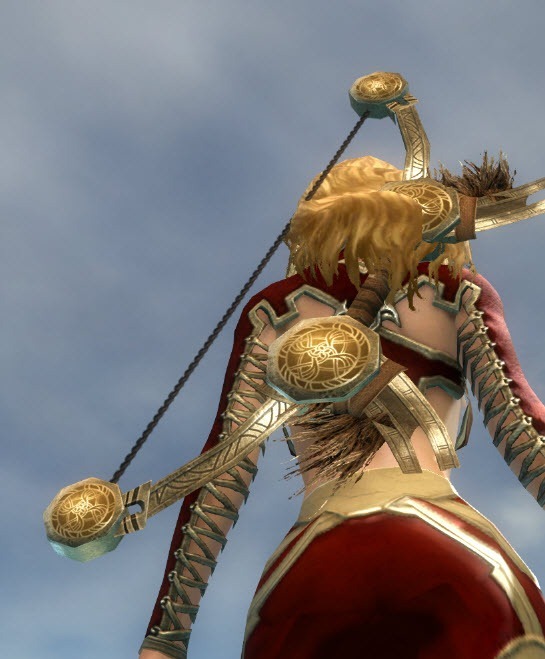 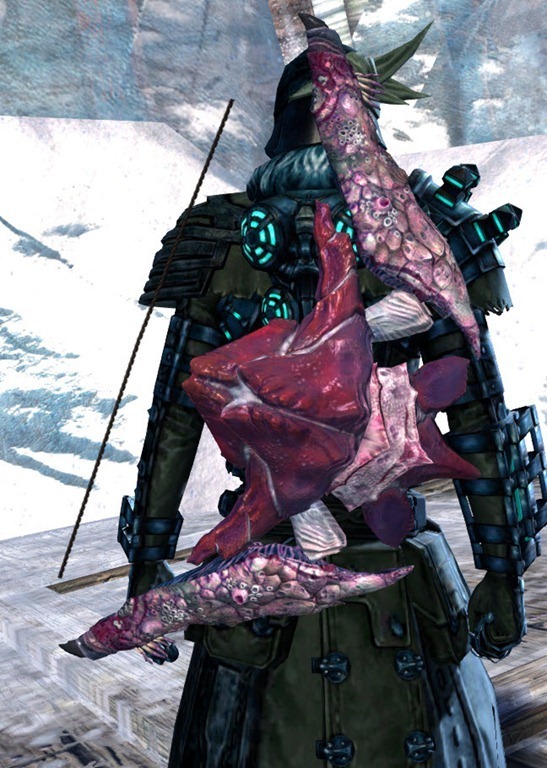 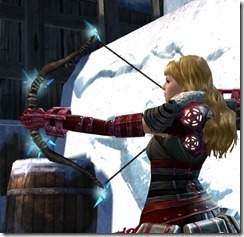 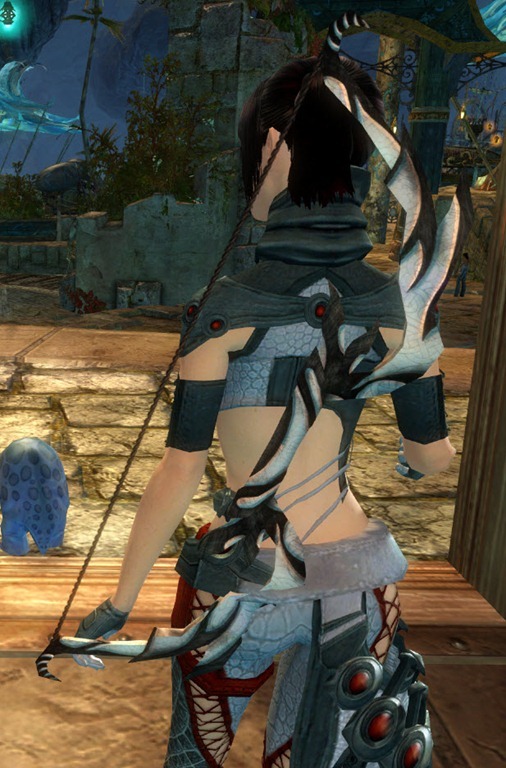 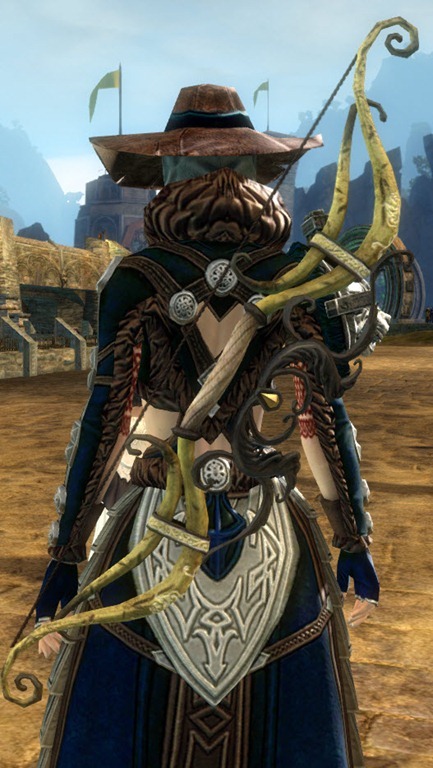 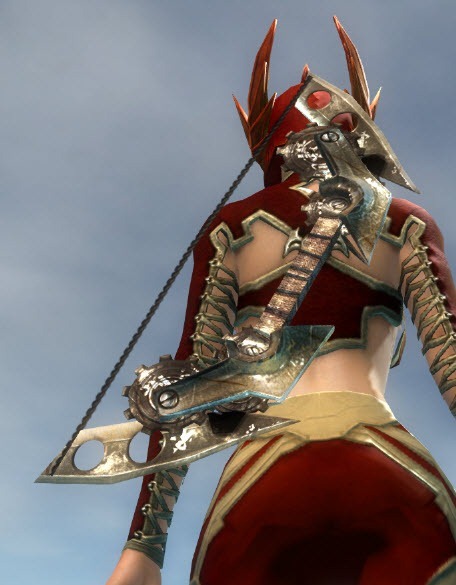 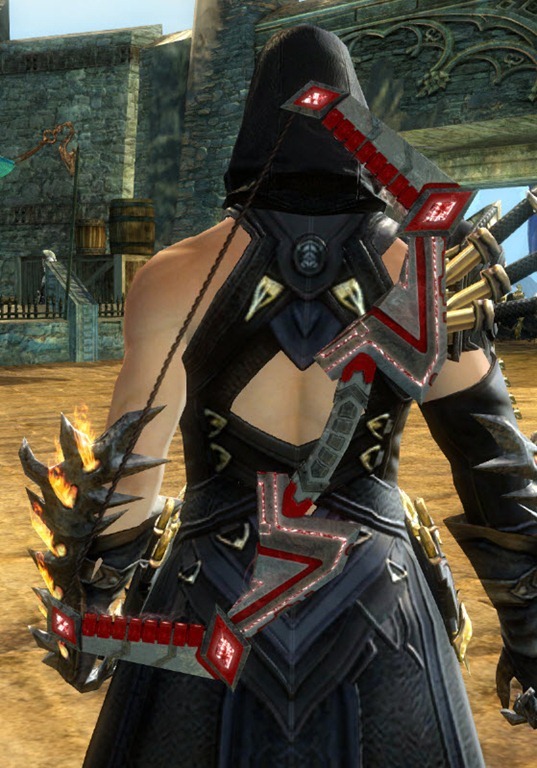 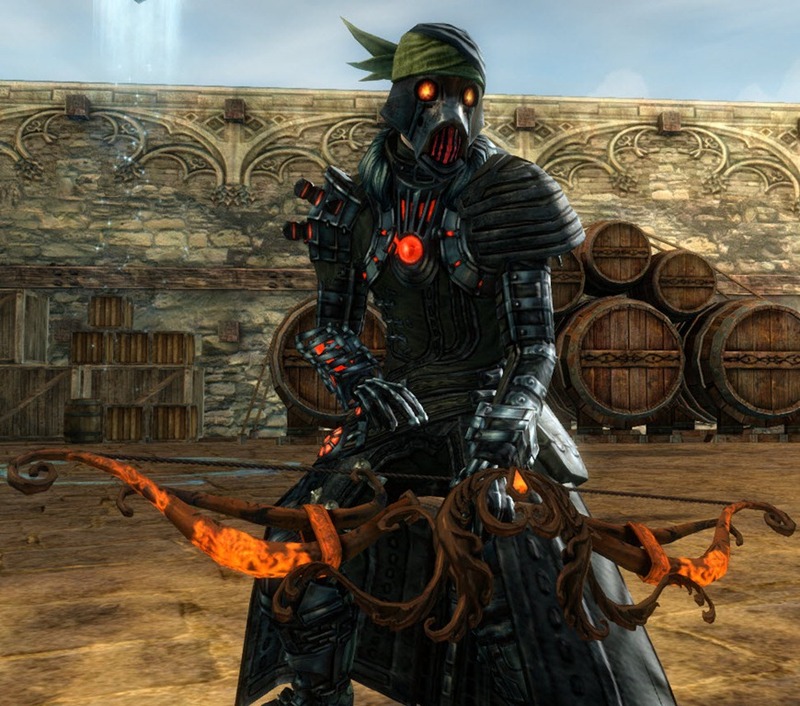 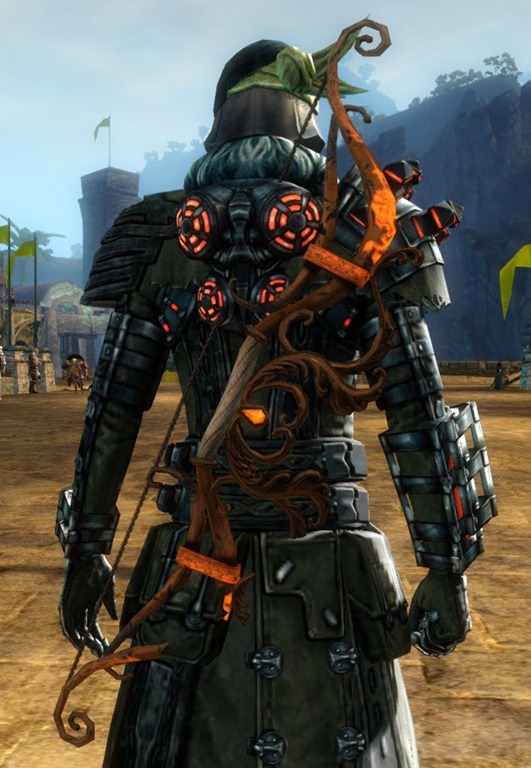 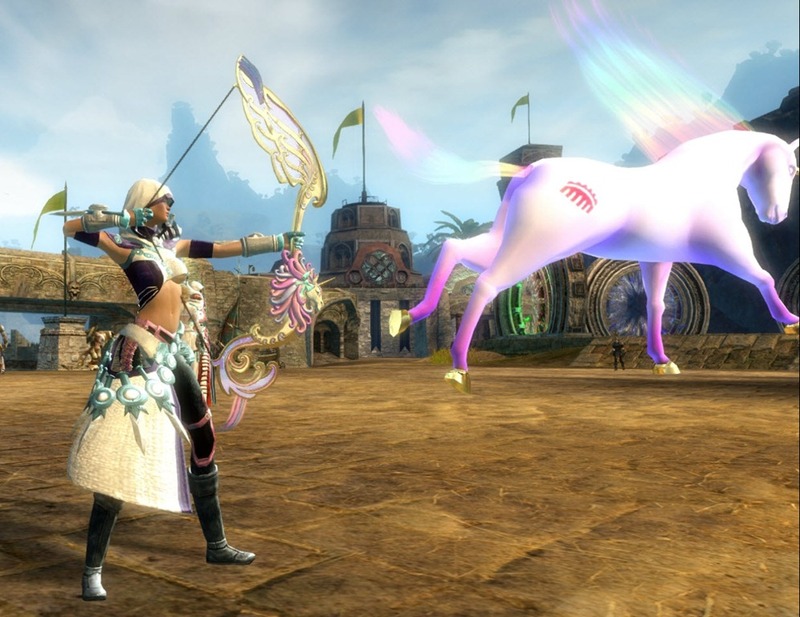 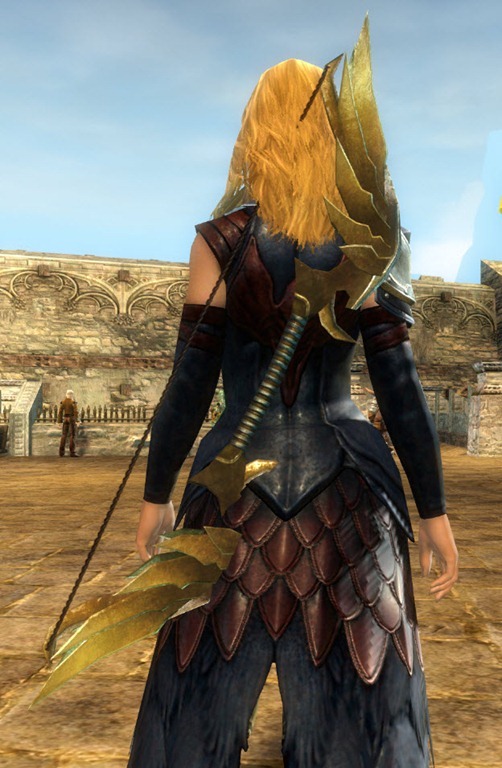 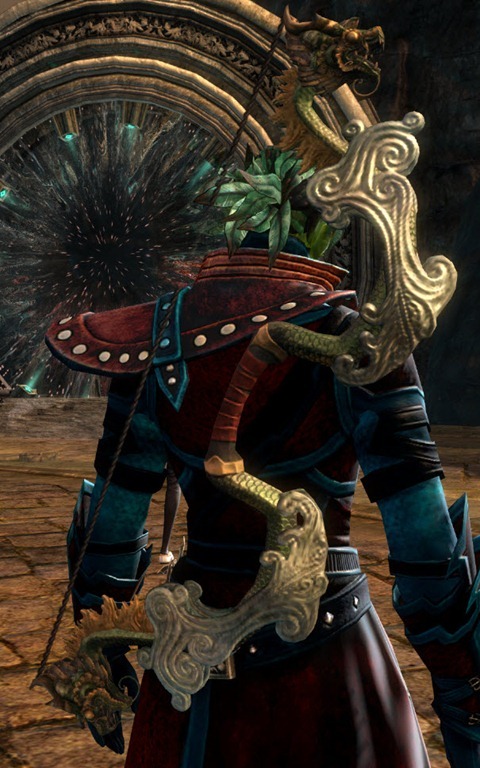 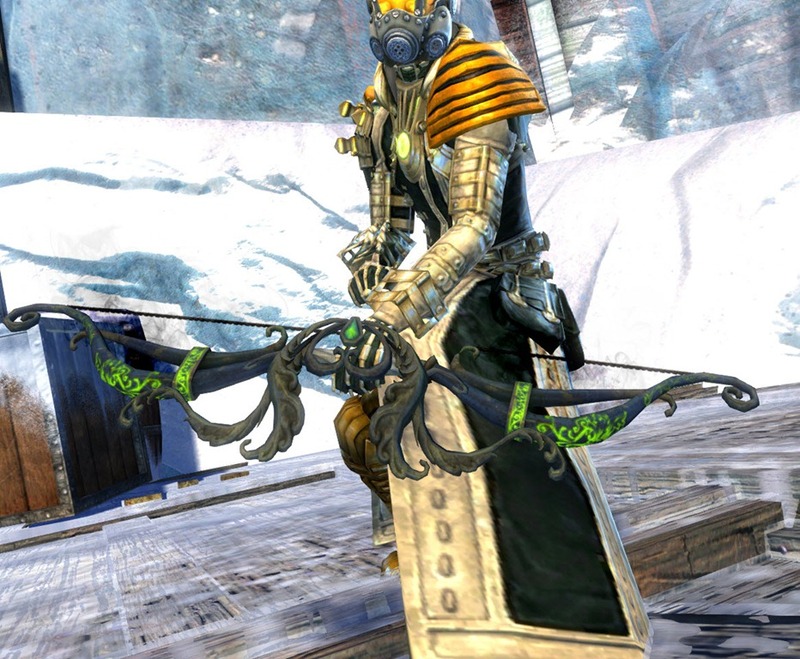 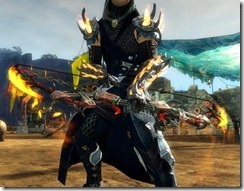 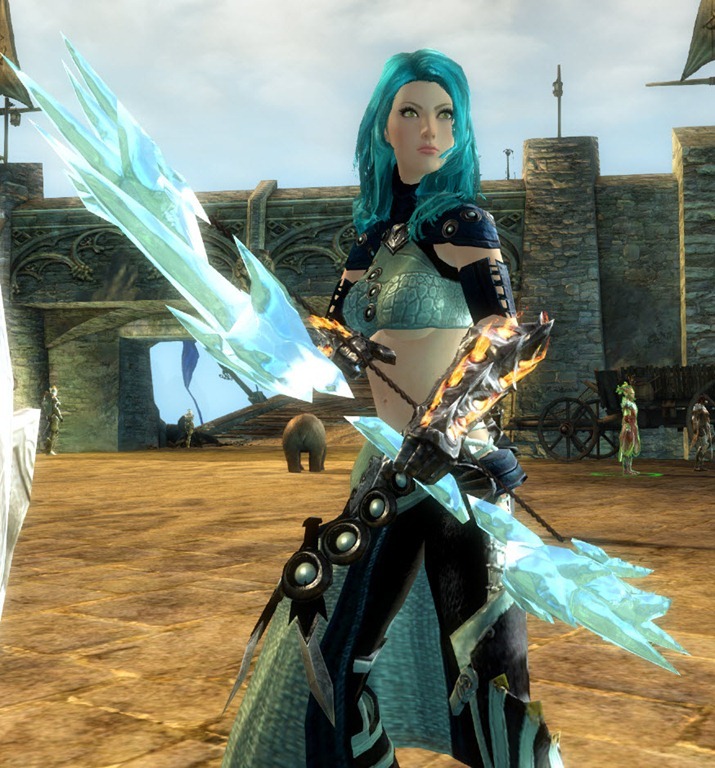 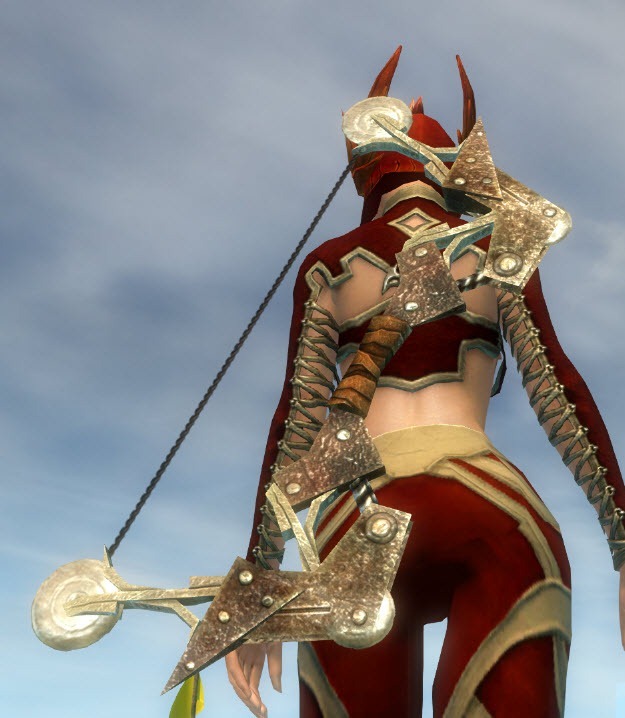 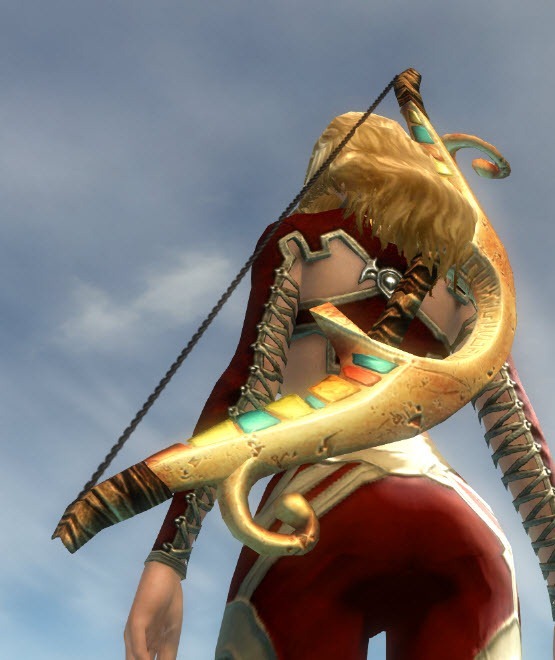 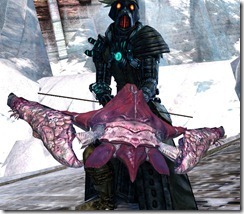 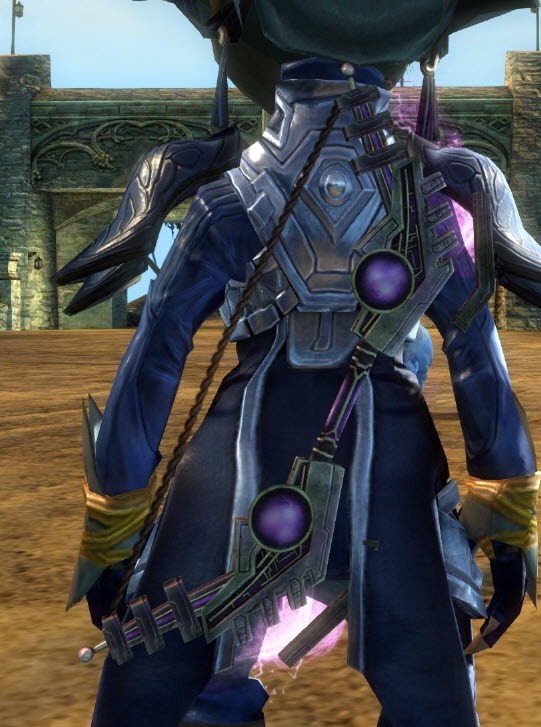 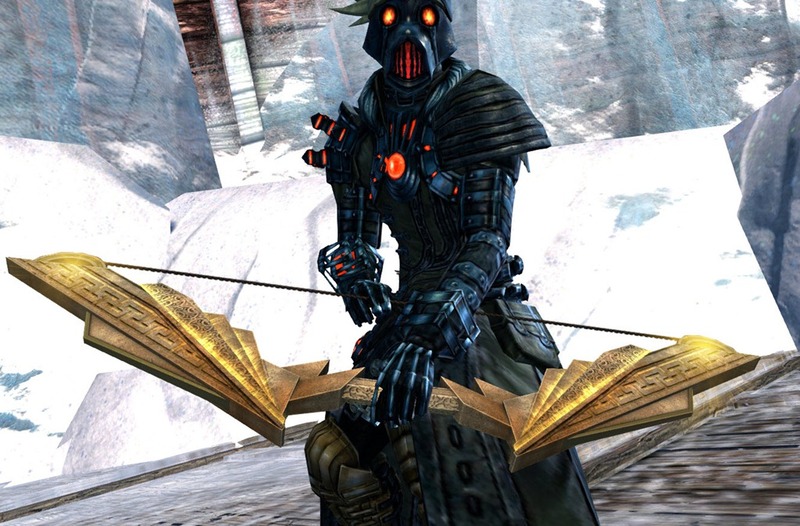 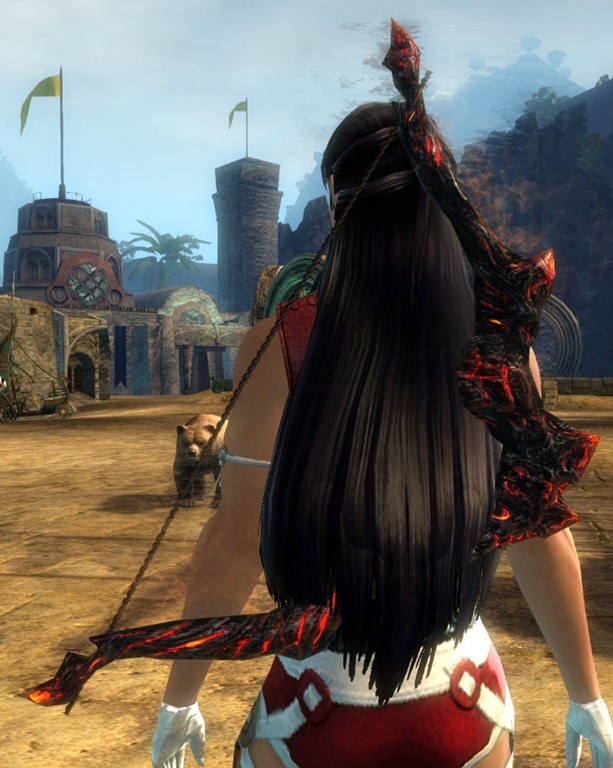 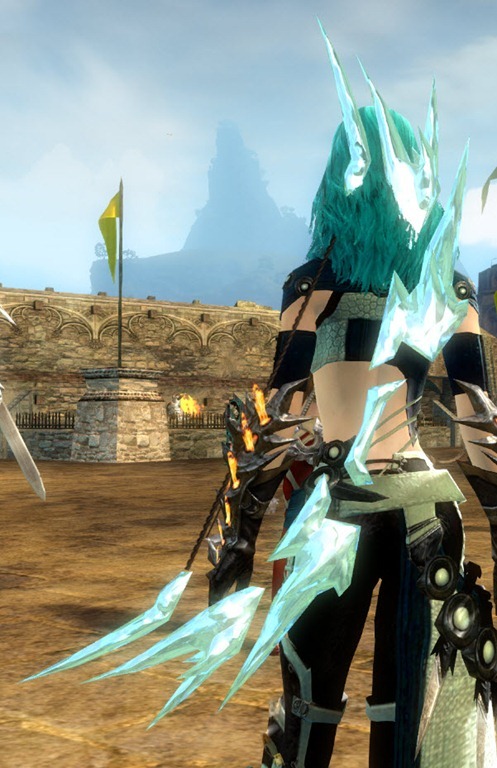 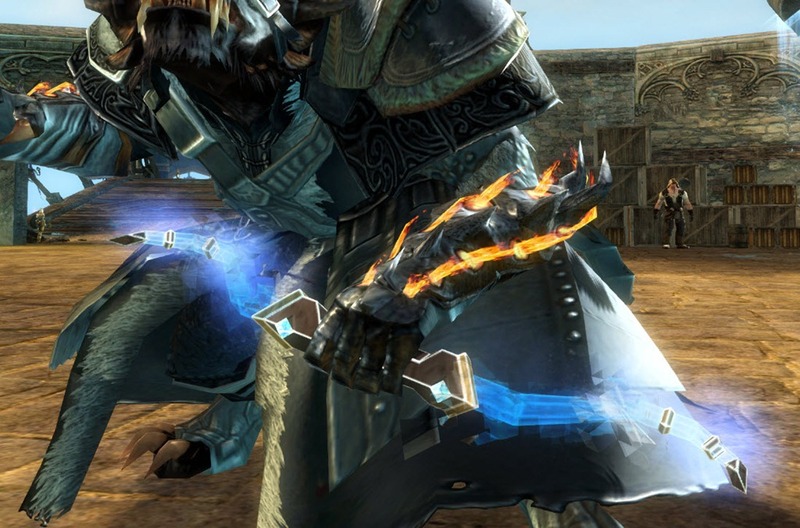 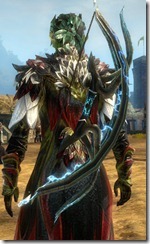 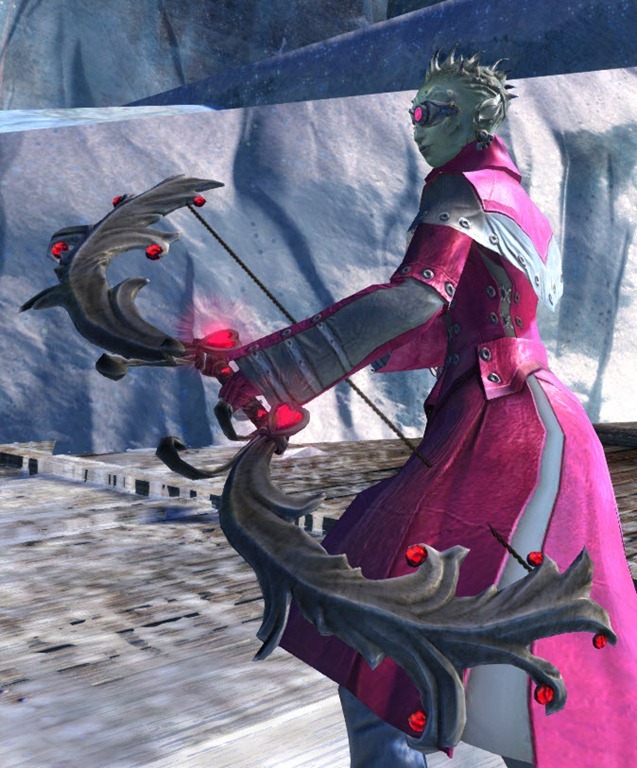 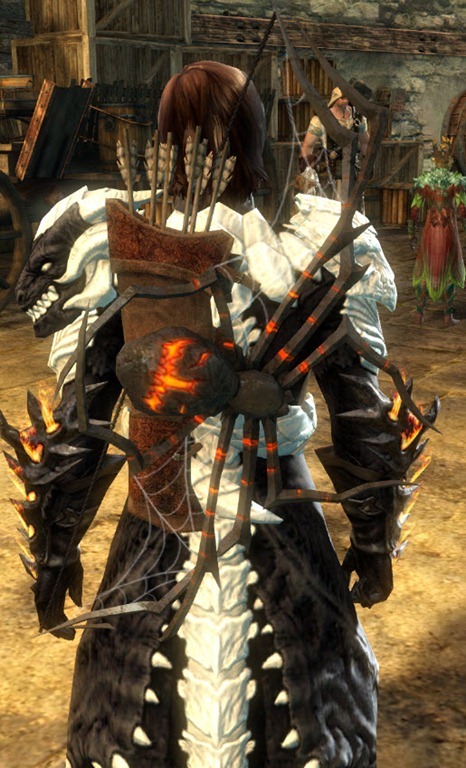 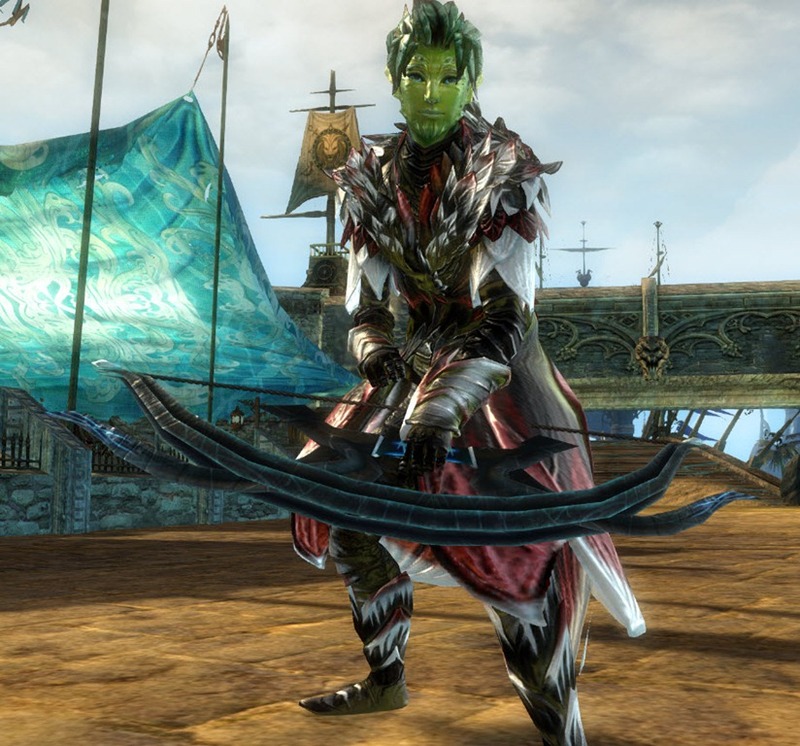 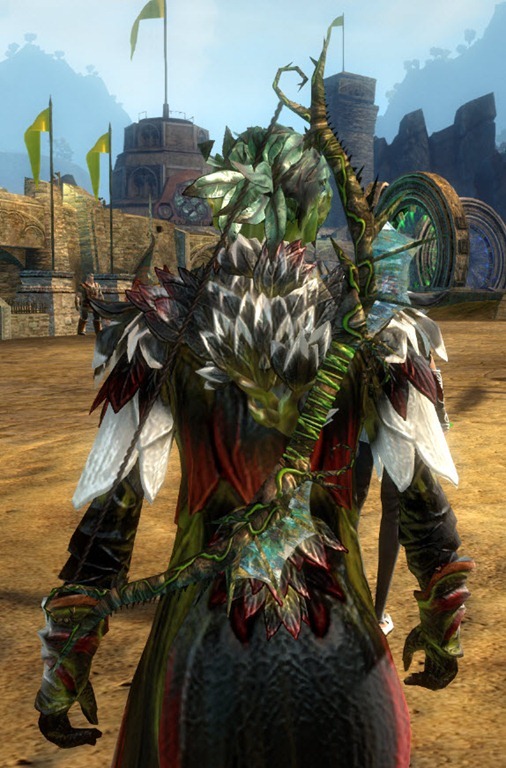 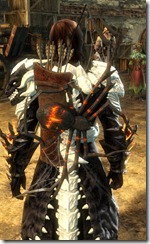 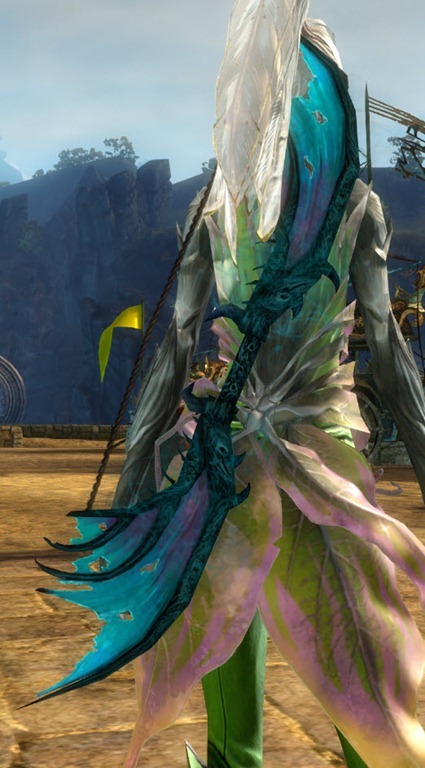 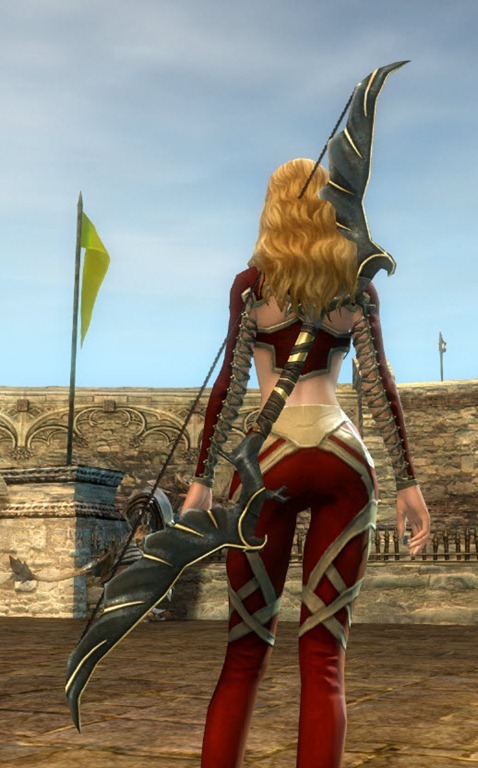 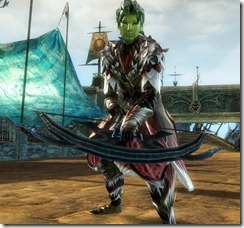 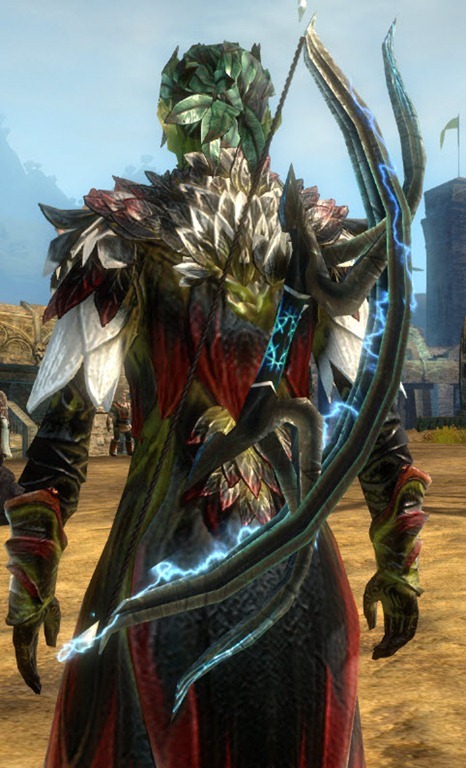 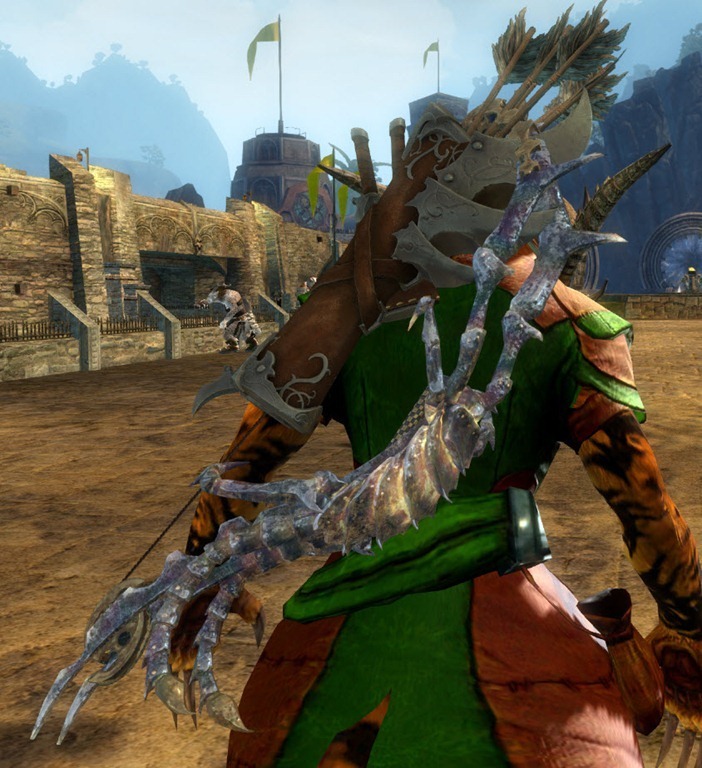 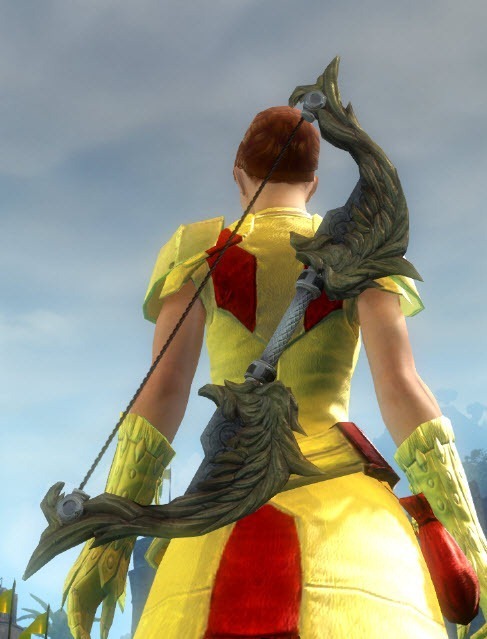 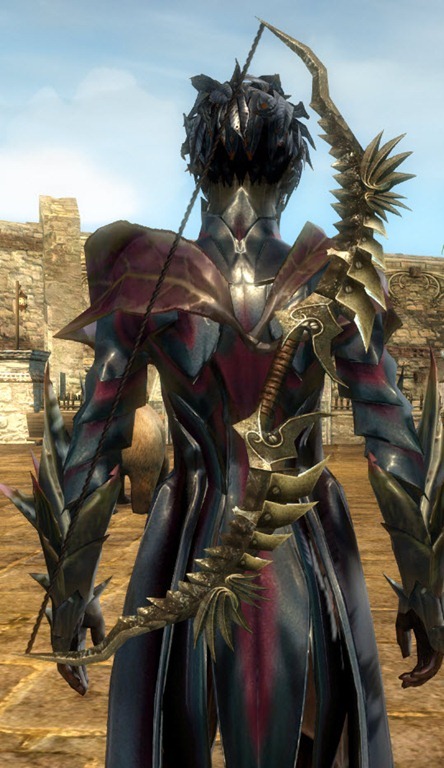 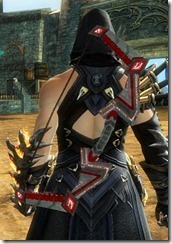 GW2 shortbow gallery with a list of all the unique shortbow skins available along with high res screenshots and their methods of acquisition. 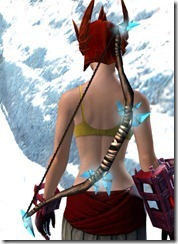 Note: I am no longer updated this Shortbow gallery as we are porting them into a more specialized site.See the new updated gallery here. 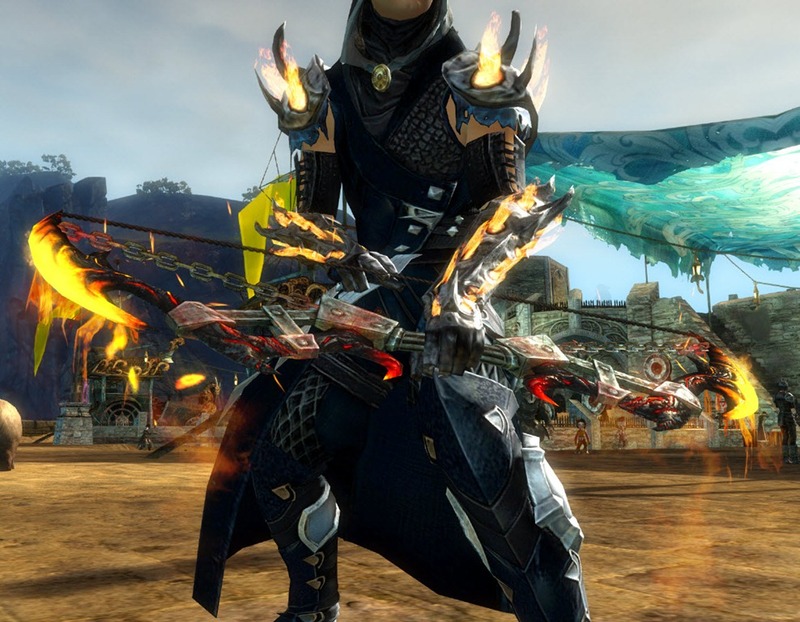 If you own any of these weapons I would love to grab a screenshot off you. 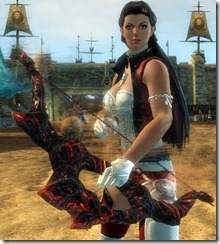 Please msg/mail me ingame (IGN is Dulfy). 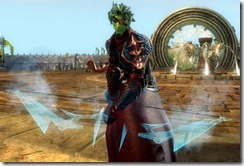 US server only. 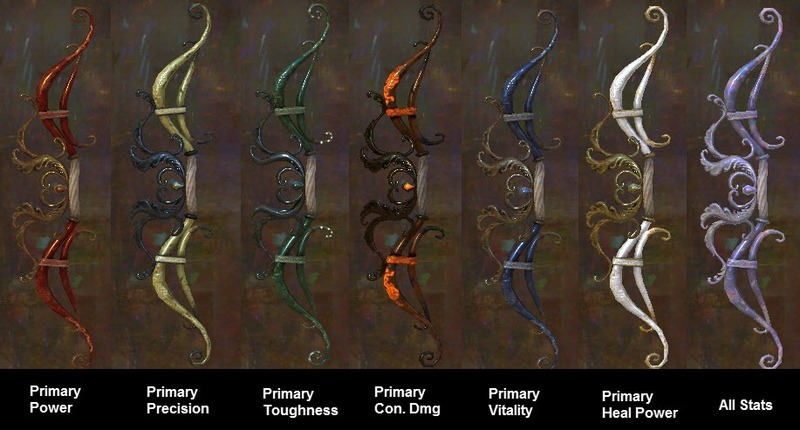 Ghastly Shortbow: Turns blue at night and has a frosty effect when drawn. 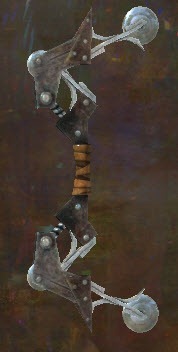 Glyphic Shortbow: White clouds along the length of the bow. 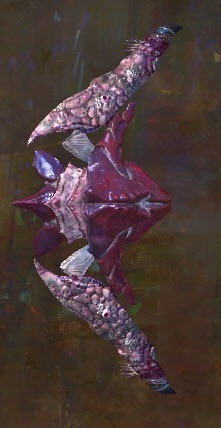 Sovereign Crescent: Light beams from edges of the bow. 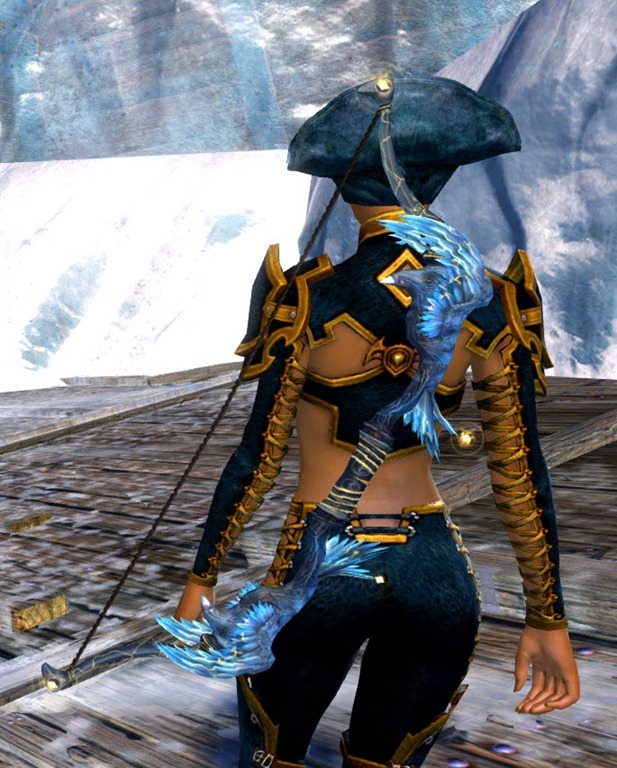 Stardust: Crystal parts of the bow glows. 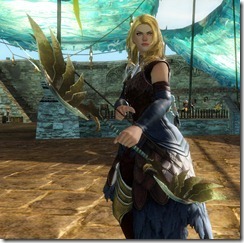 The Lover/Feathers of Dwayna: Feathers fall off the bow. 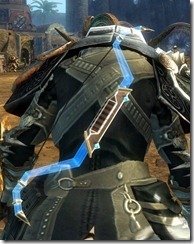 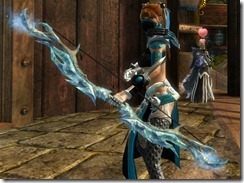 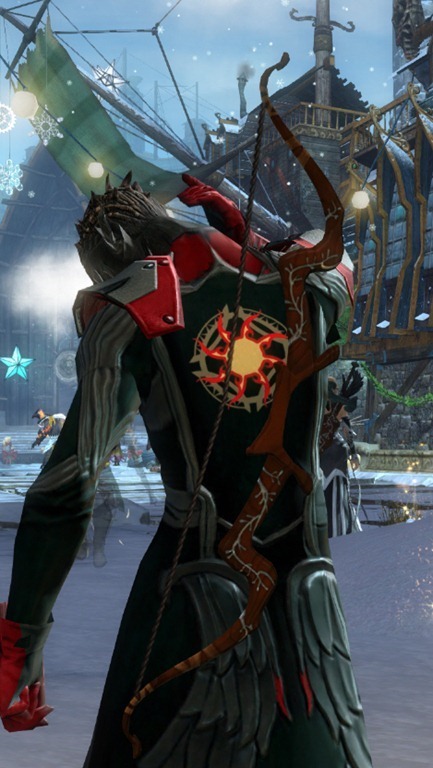 Winter’s Arc: Snow flake fall off the weapon along with a pulsating white design when drawn. Image Credits Jetta Jadesten (yellow), Sionn Frost (Wupwup and Black/orange). 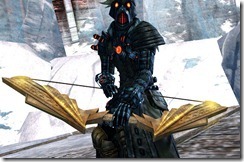 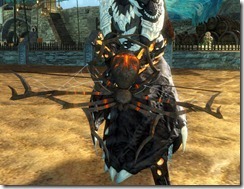 Source Huntsman: 30 Corrupted Lodestone + 1 Etched Short Bow of Rage (L80). 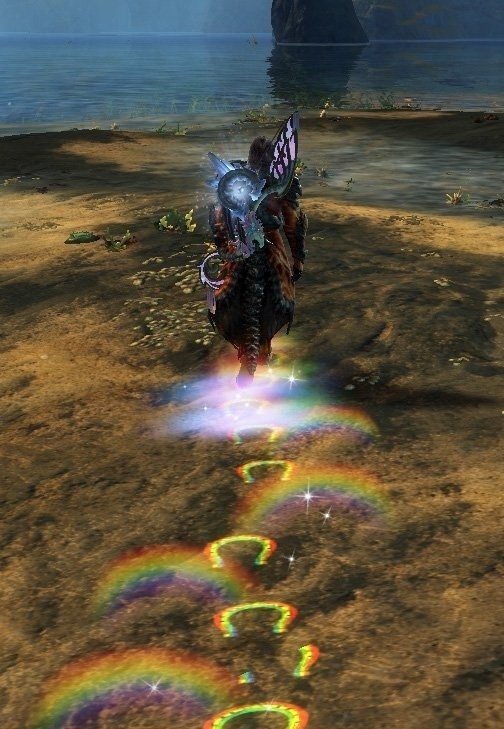 Particle effects Turns blue at night and has a frosty effect when drawn. 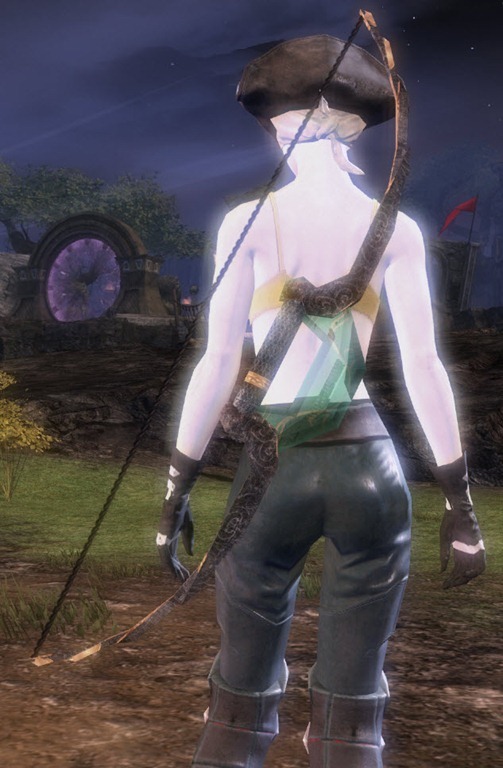 Particle effects White clouds along the length of the bow. 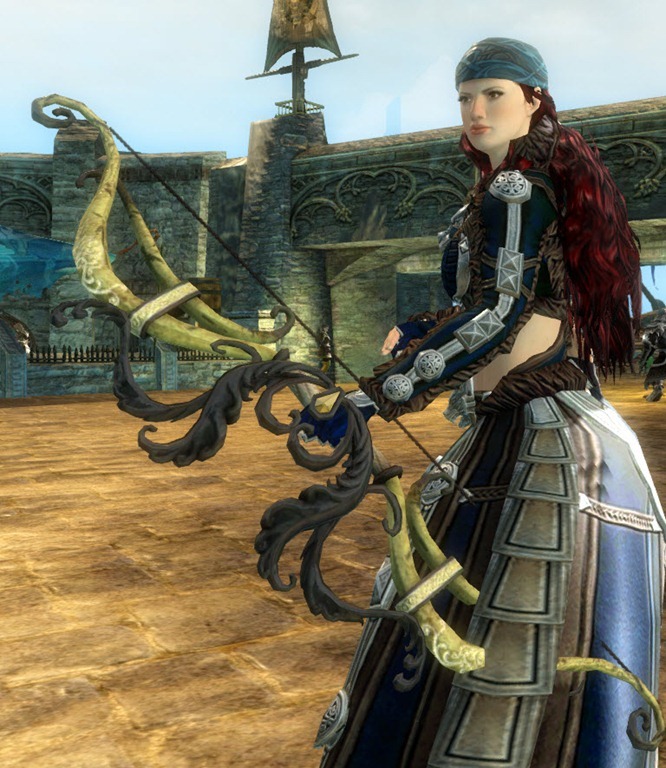 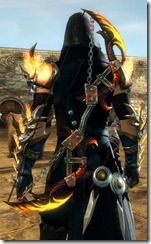 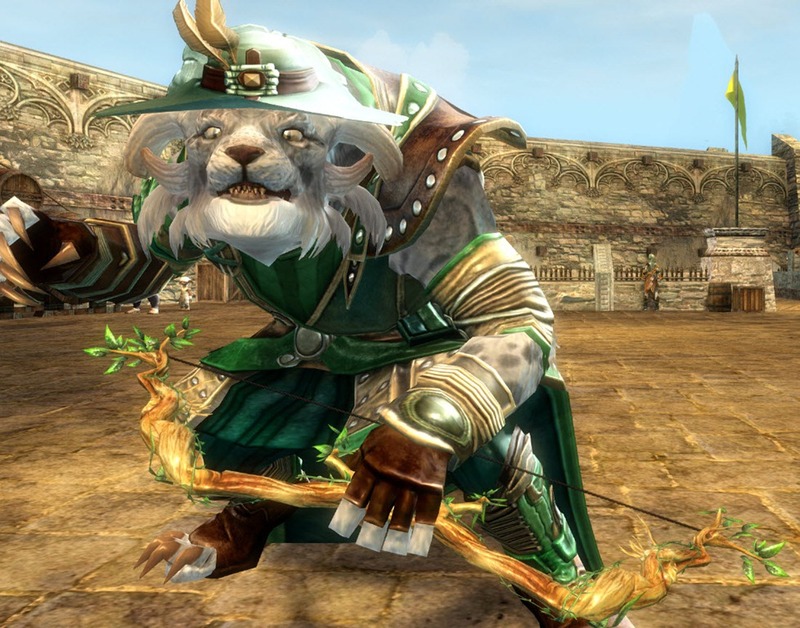 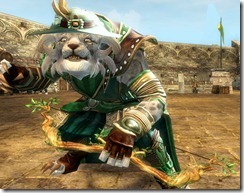 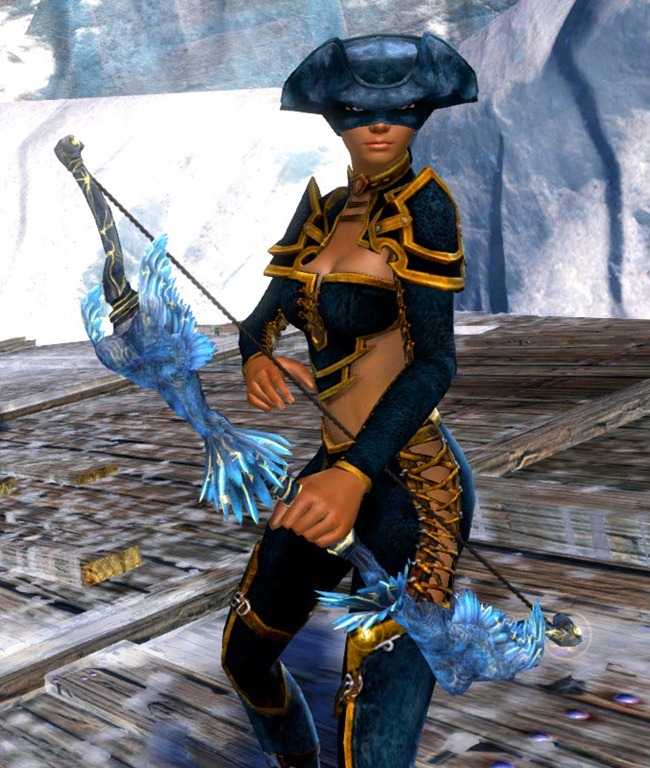 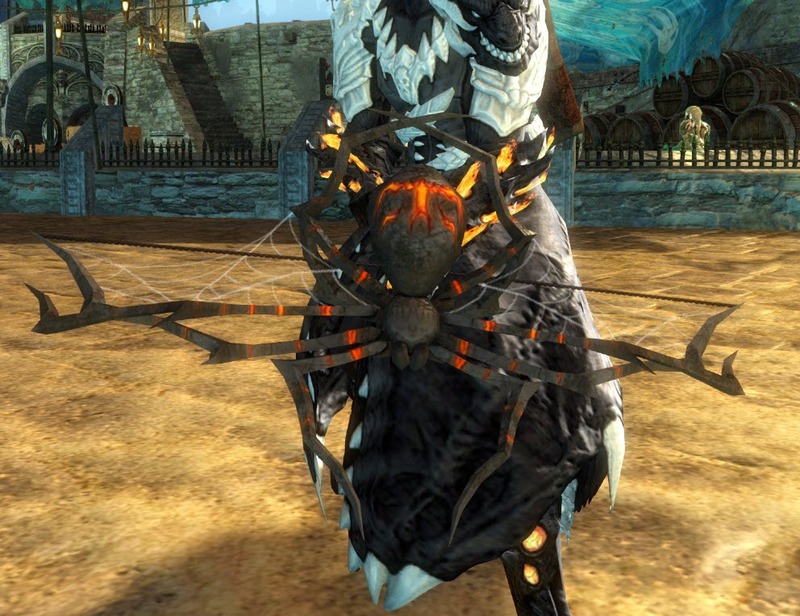 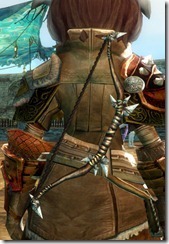 Source Guild Commendations Trader in Lion’s Arch bank for 7 Guild Commendations and 3 gold. 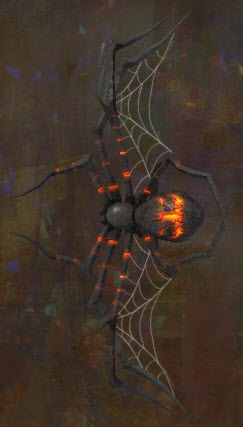 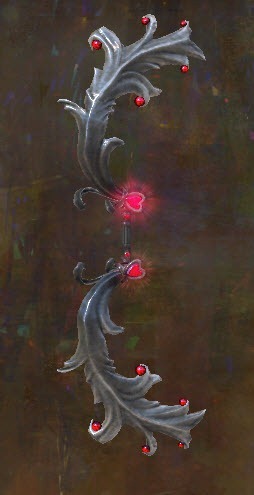 Source Obtained as one of possible rewards at end of your personal story. 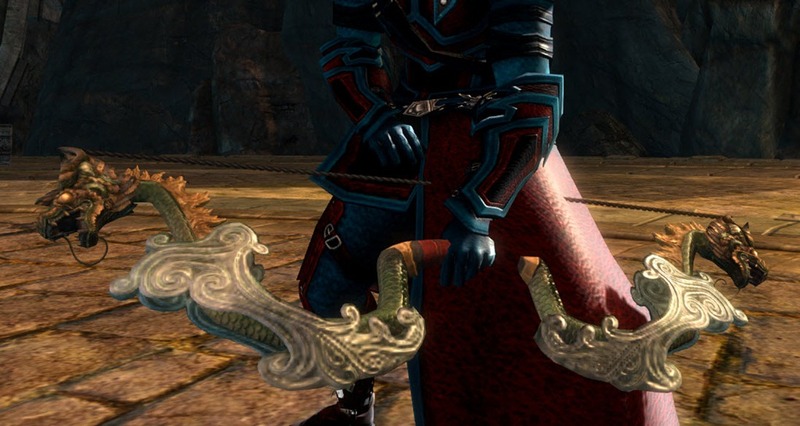 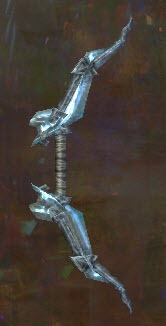 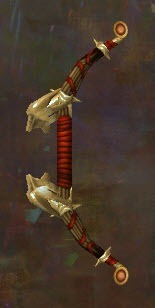 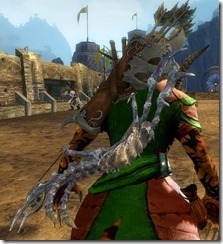 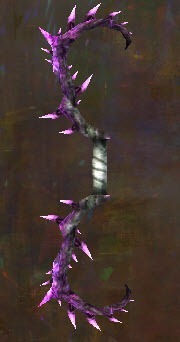 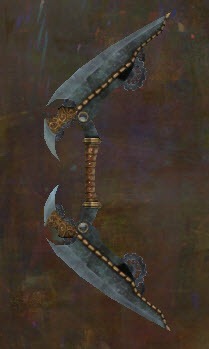 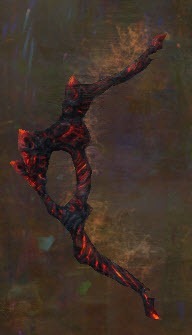 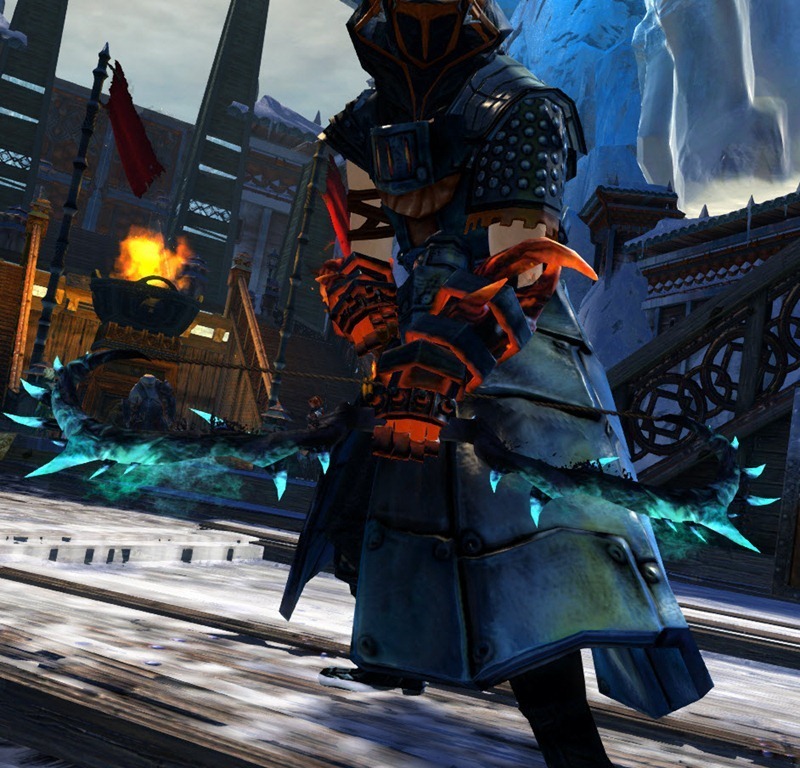 Source Asura T3 cultural weapon purchased in Rata Sum for 63k karma. 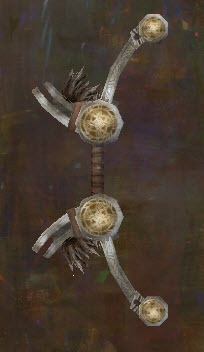 Source Purchased from Priory Order weapons vendor in Lornar’s Pass for 5 gold 52 silver. 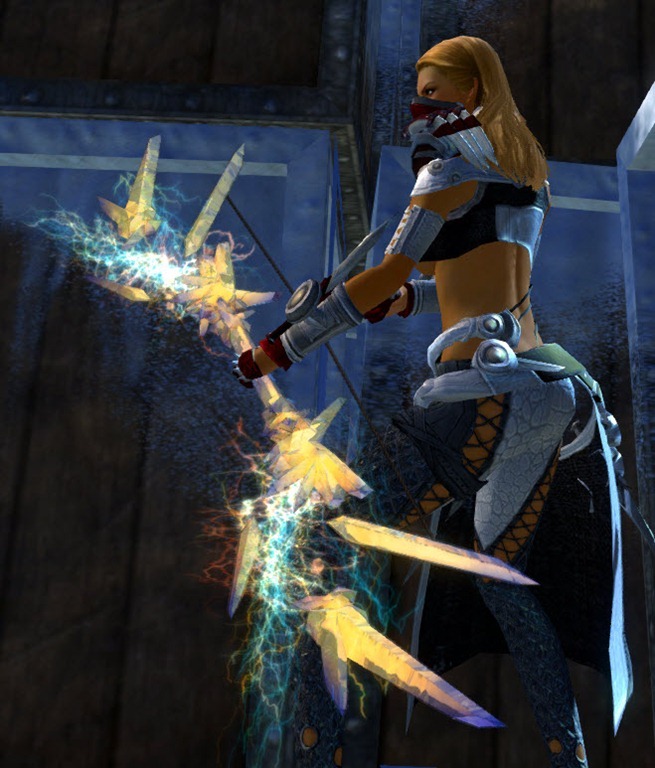 Animation Light beams from edges of the bow. 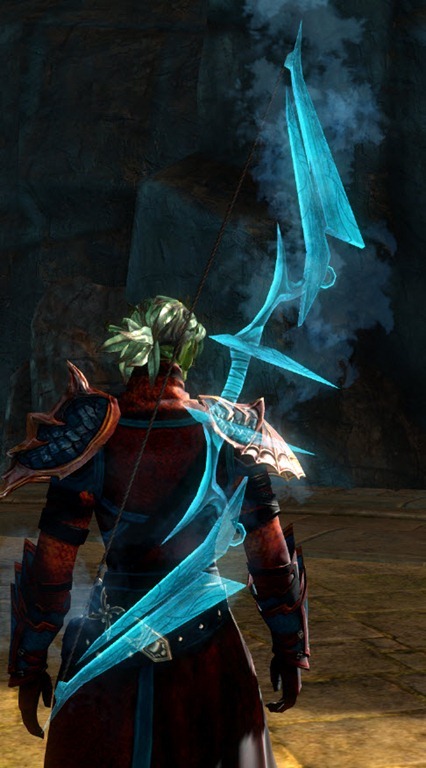 Animation The crystal parts of the bow glows. 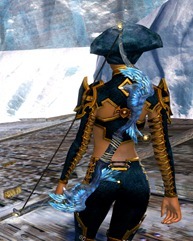 Particle effects Feathers fall off the bow. 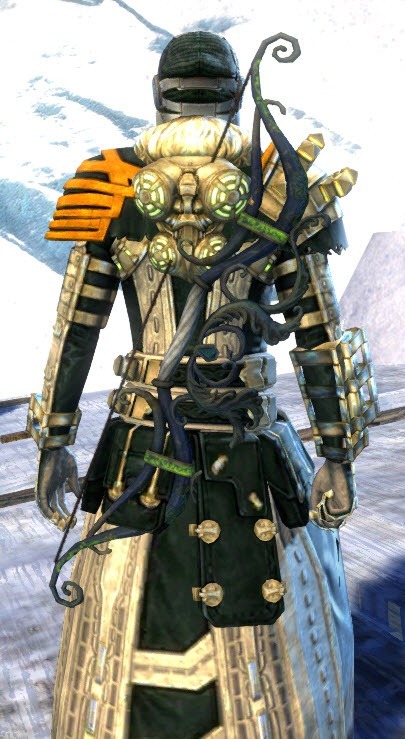 Source Purchased in Vigil Order weapon vendor in Gendarran Fields for 5 gold 52 silver. 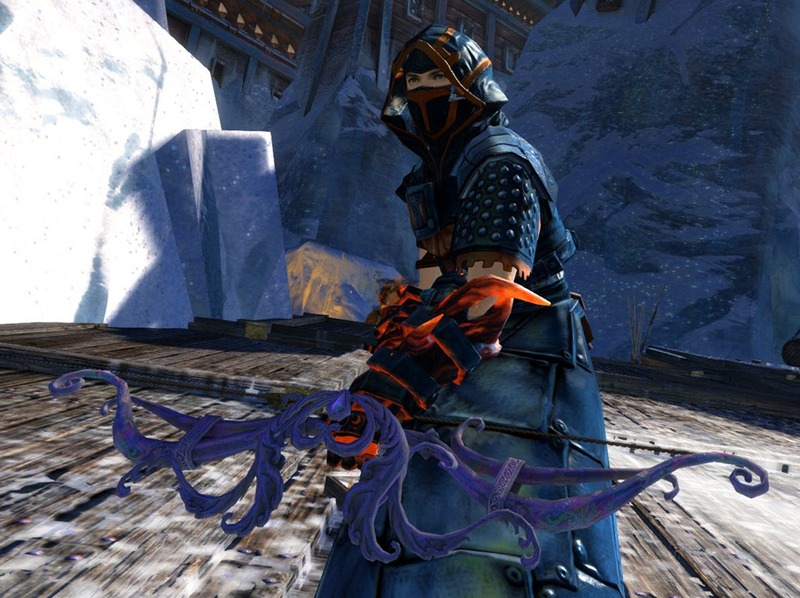 Source Purchased from Order of Whisper weapons vendor in Bloodtide Coast for 5 gold 52 silver. 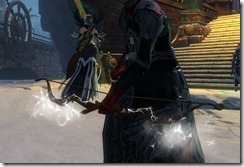 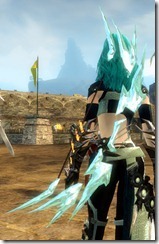 Particle effects Snow flake fall off the weapon along with a pulsating white design when drawn. 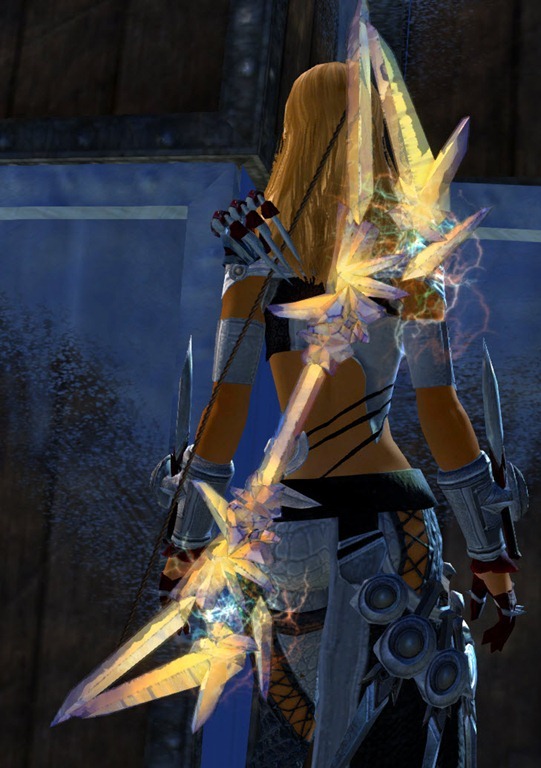 Thanks again for your work, dulfy! 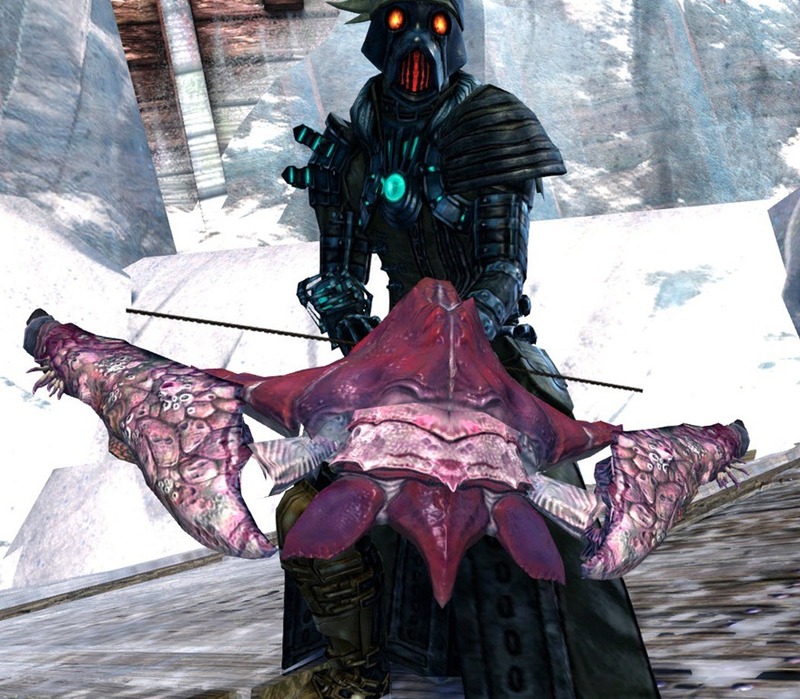 😀 Hope the underwater weapon galleries come soon! 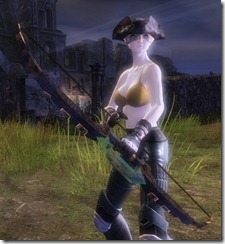 I’m guessing that was a C&P mistake and that should read “Pirate Needler”. 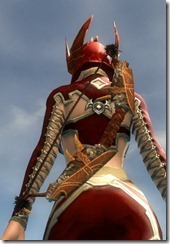 Priory legs + duelist chest. You sure, because I looked up deulist on gw2 wiki, and it doesn’t look like that. 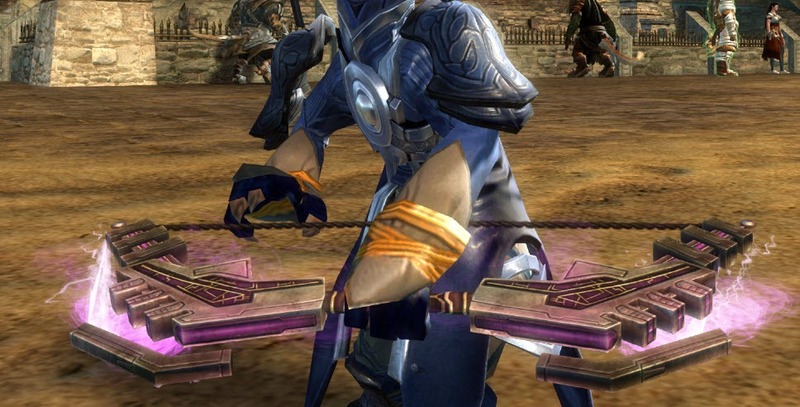 There are two sets of armor called Duelist, don’t confuse the two! Are you sure the Corrupted Short Bow pictures are from the shotbow variant, I previewed them from the TP and it does not stick above the head at all. While the pictures here do..
Edit: apparently it differens per char, on my human it barely sticks above, on my norn it sticks somewhat more above.. Weird really. 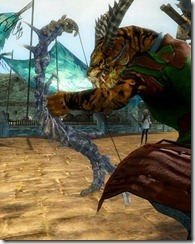 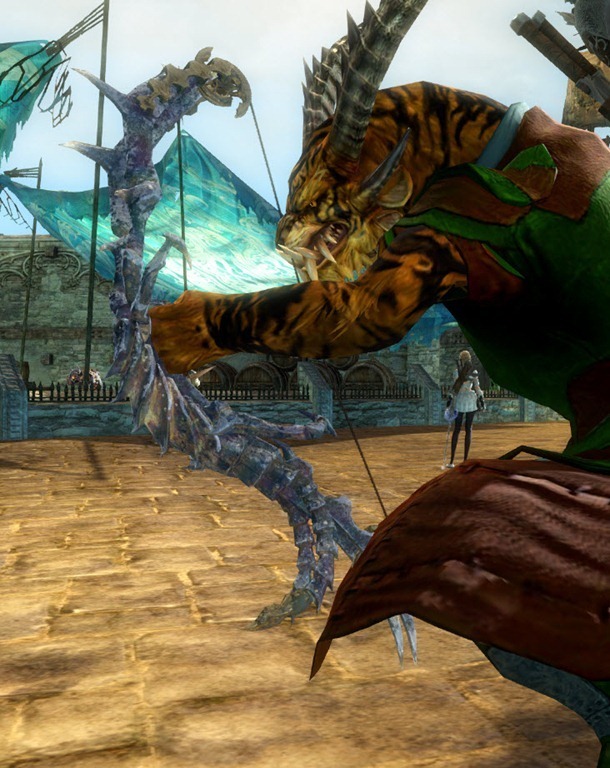 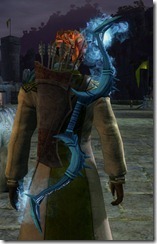 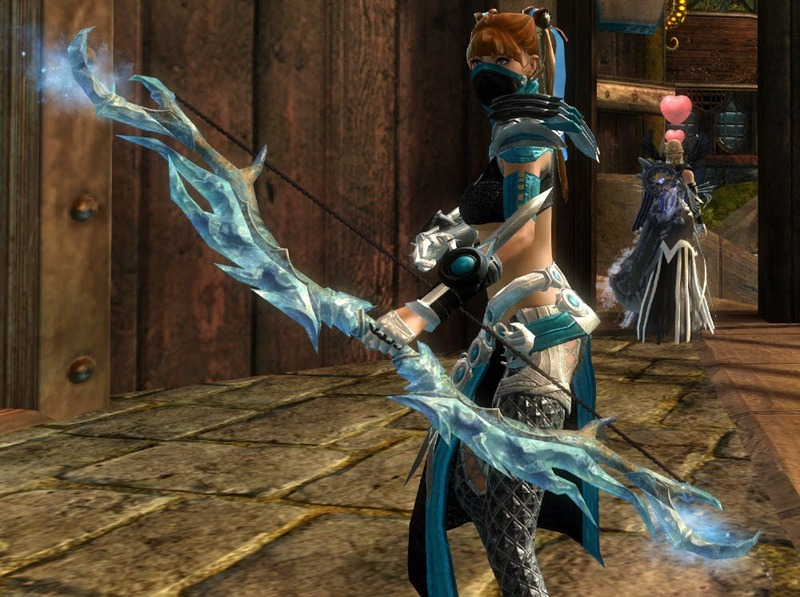 Hi Dulfy, the storm Wizard shortbow come from SAB Tribulation World 2 and not SAB from April 2013. 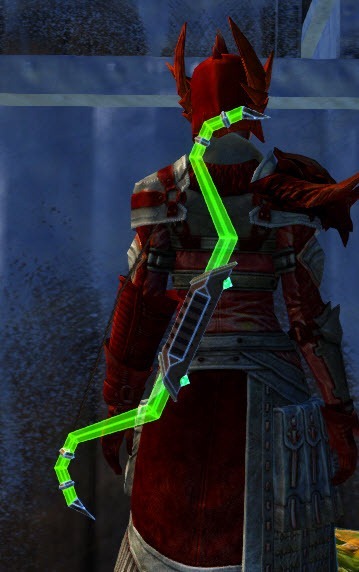 Thx for all these helpful work you do for us. 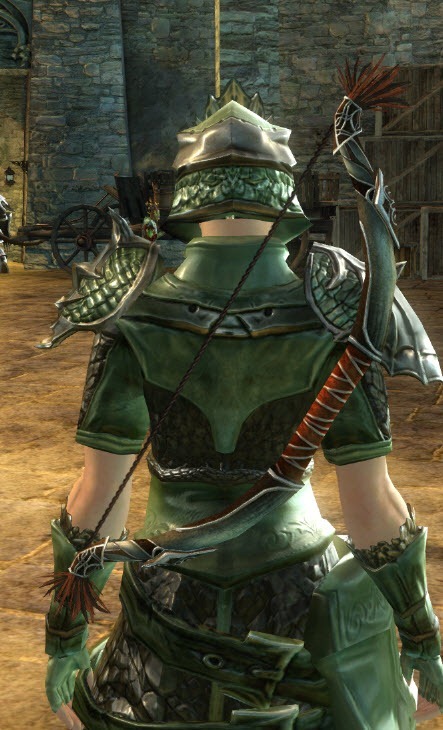 what armour is in this one? 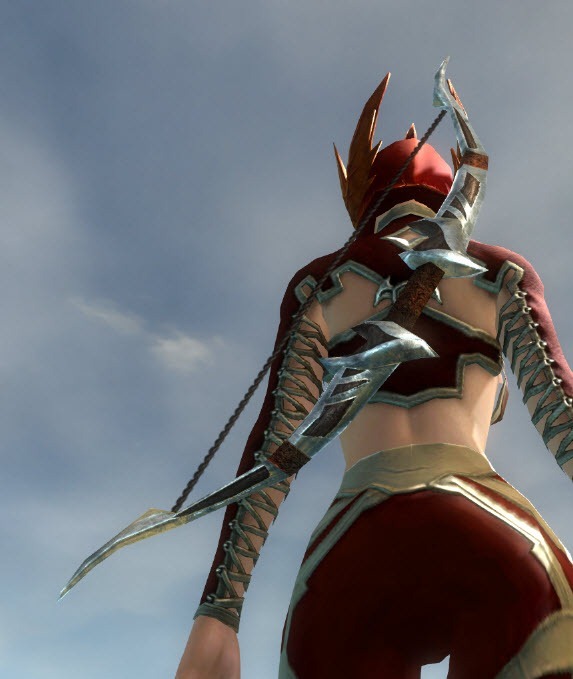 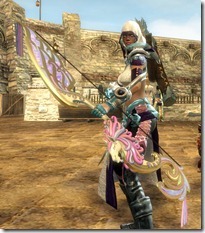 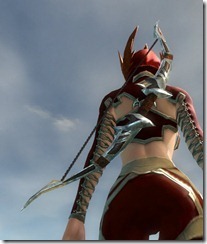 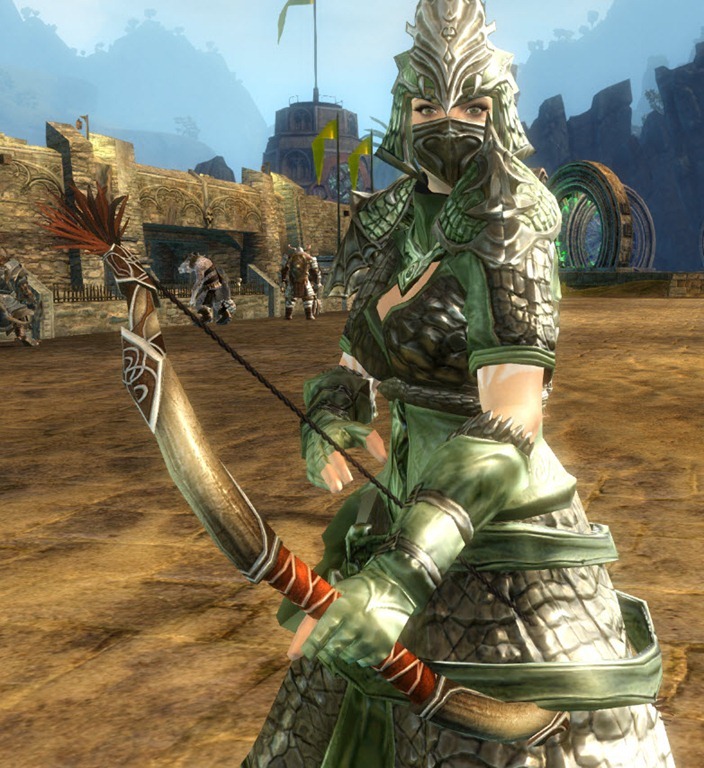 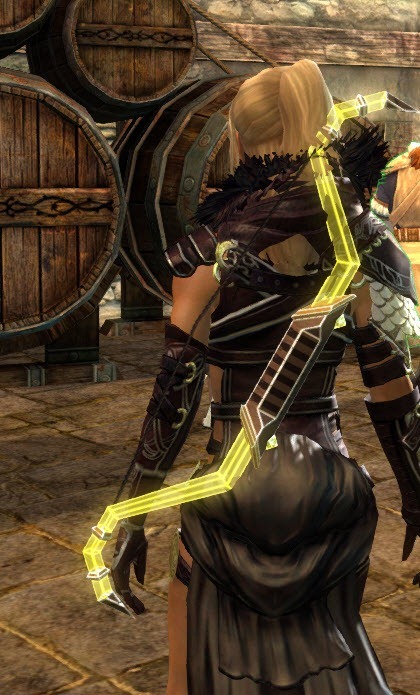 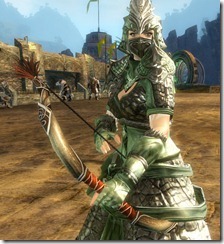 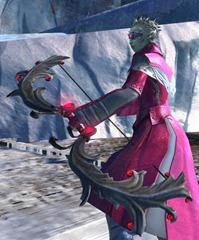 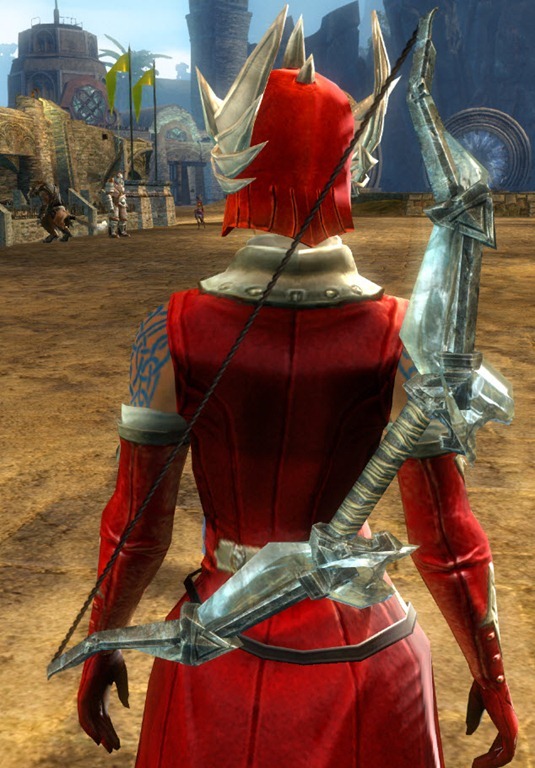 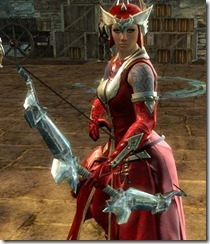 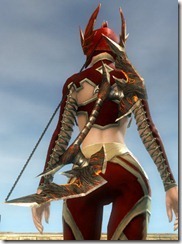 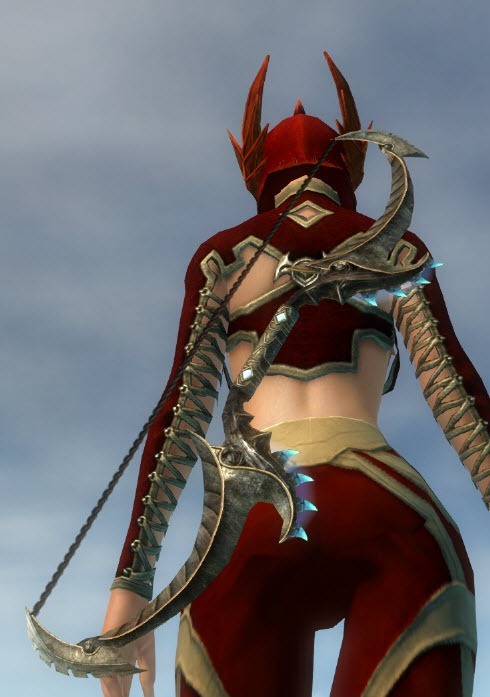 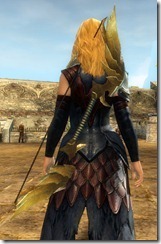 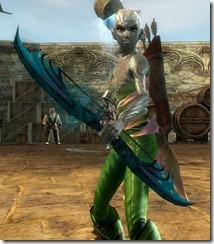 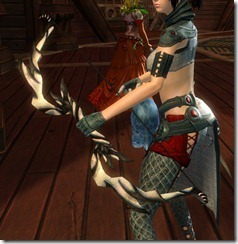 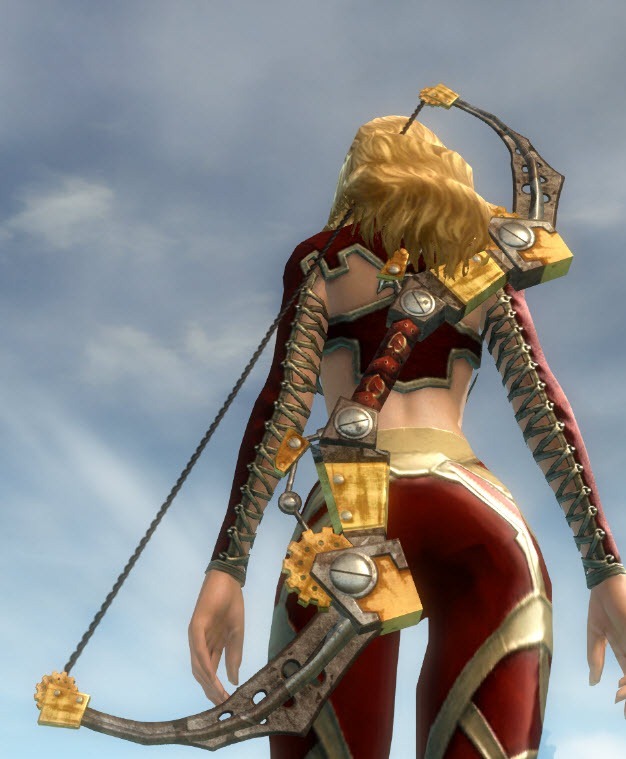 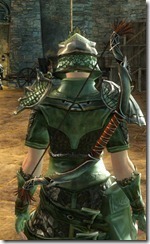 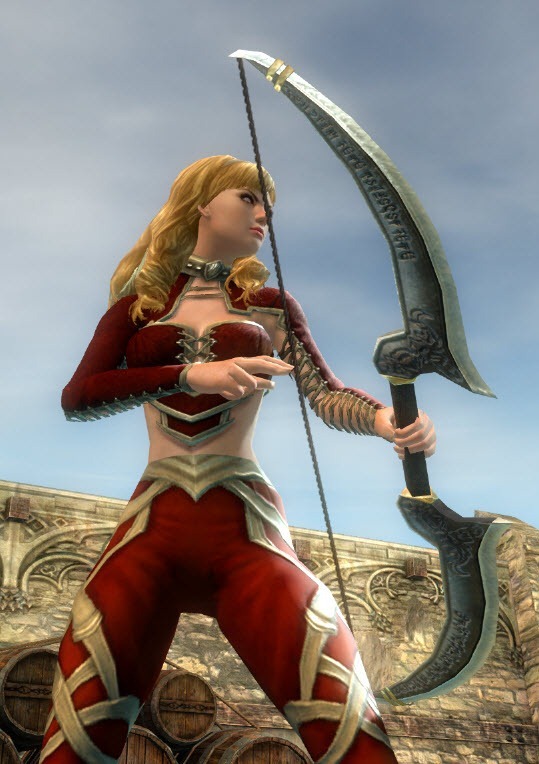 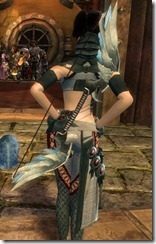 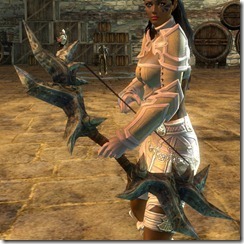 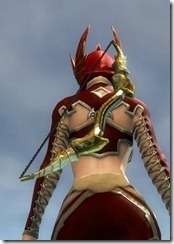 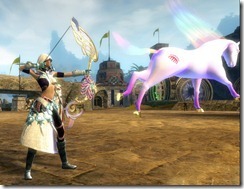 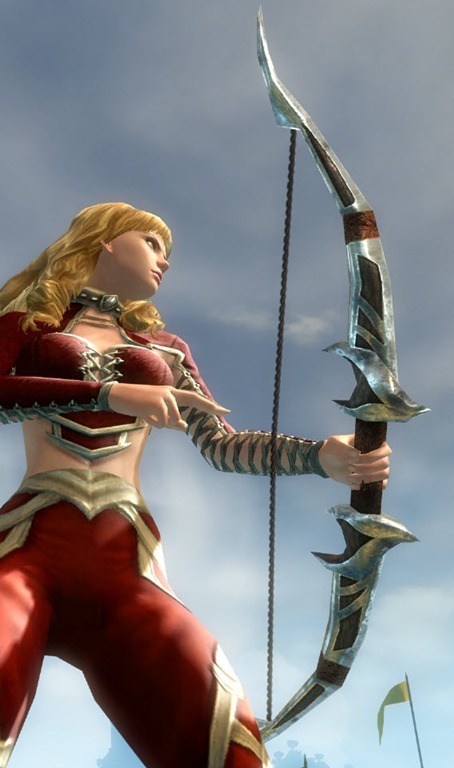 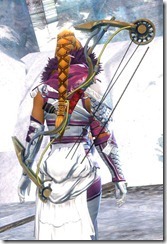 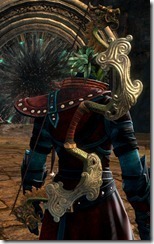 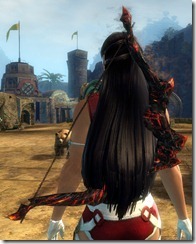 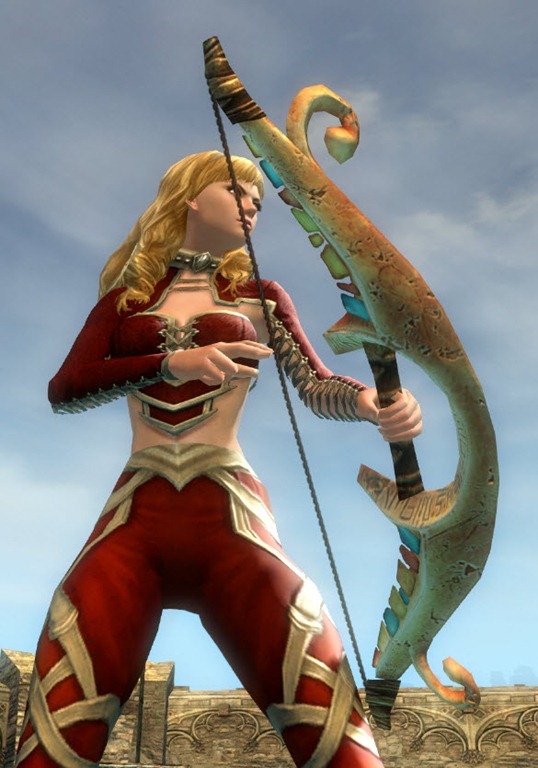 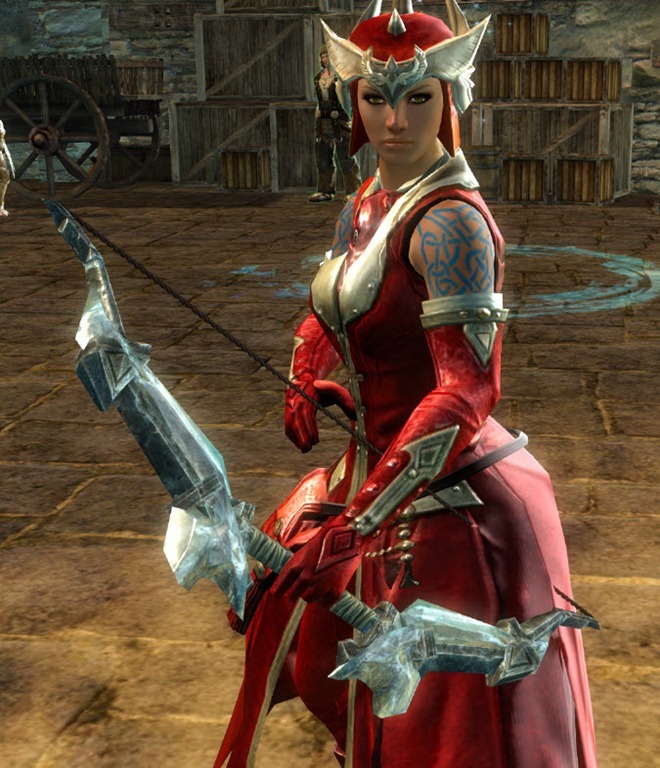 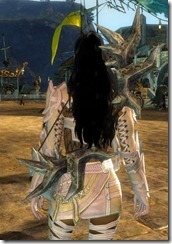 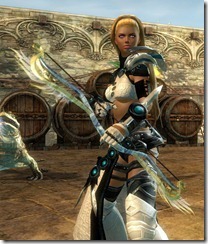 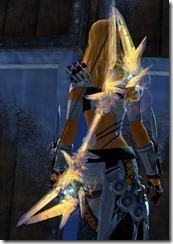 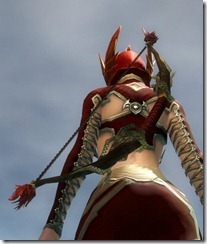 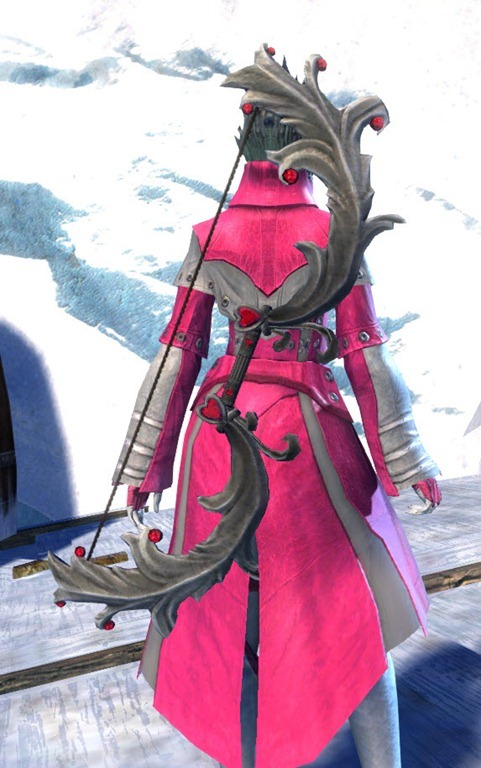 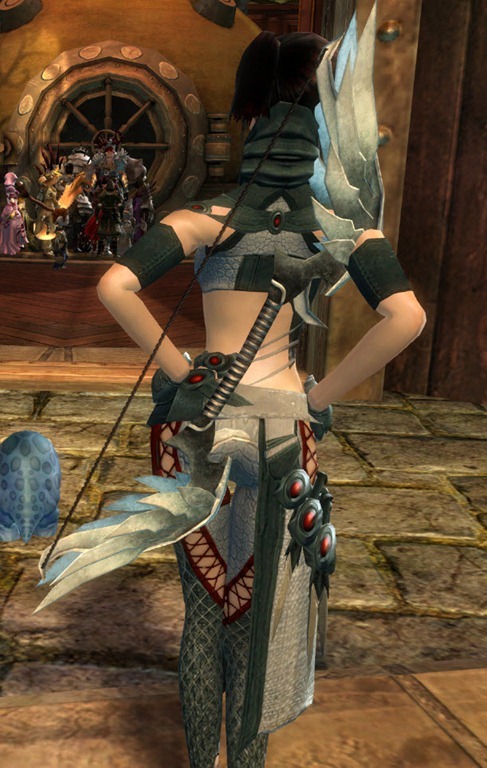 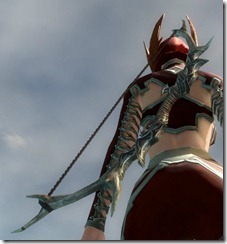 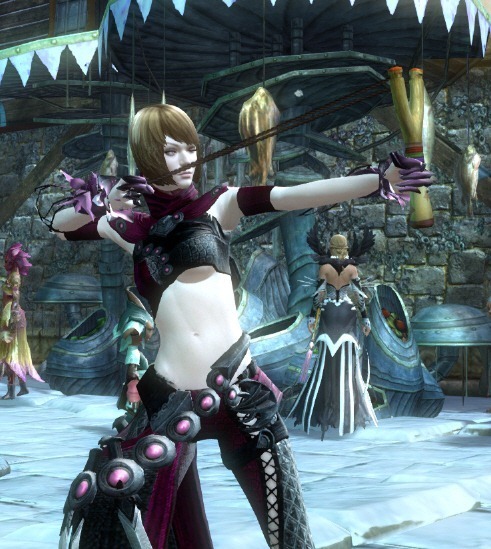 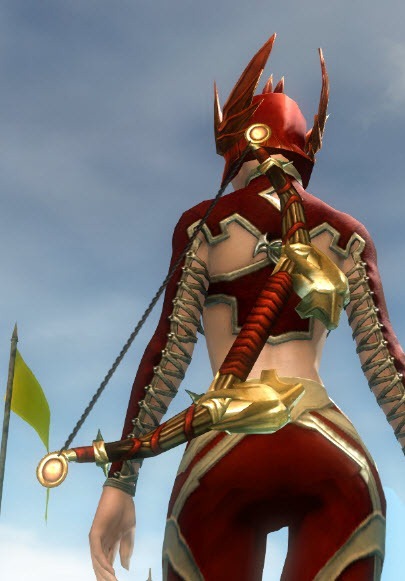 In the picture of the Dreamthistle shortbow, what leggings is the character wearing?